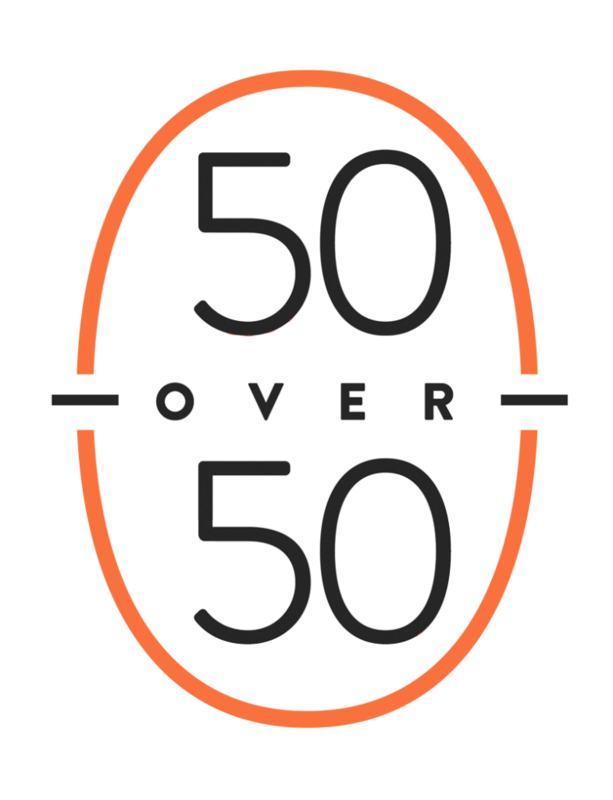 The 2018 “50 Over 50” list celebrates and recognizes Minnesotans over the age of 50 who have made significant contributions and achievements in their communities. Join us on Wednesday, October 10, for Minnesota’s “50 Over 50” celebration event. Tickets available at 201850over50.eventbrite.com. Fifty-one years ago, three events occurred in my life that continue to shape my future; college graduation, marriage, and relocation to Minnesota. I didn’t know it at the time, but I had already begun my personal process of disrupting aging—by investing in a full and vibrant life. Those kinds of investments are more important now than ever. New developments in technology, the shift in demand from manual to cerebral skills, and the slow disappearance of lifelong, full time jobs require people of all ages to think differently about our lives. We can’t just focus on our careers—throughout our lives, we can invest in other parts of who we are to sustain our vitality. That’s my secret, and I’d wager it’s secret of all current and former 50 Over 50 honorees. They’re breaking the rules, busting myths, and disrupting aging—but it’s not just about what they did once they hit their fifth decade. It’s about living complete lives, full of companionship, curiosity, spirituality, education. Of course, disruption does not control the passage of time nor its impact on our minds and bodies. That unavoidable truth leads both individuals and institutions to discount the abilities of those among us over the age of 50. We are expected to step aside rather than embrace the changing ways of the world around us. Our wisdom is perceived as an anchor holding us in the past. But wisdom isn’t an anchor—rather, it’s a foundation. Wisdom bridges the gap between knowledge and practice. Wisdom embraces contradictions while tolerating uncertainty, and allows us to view our circumstances with both sincerity and optimism. Pair that wisdom with passion and drive, and amazing things are possible—this year’s honorees are just 50 more examples of that. Today is the youngest we’ll ever be in our lifetime. Seize the opportunity today presents! Disrupting aging means always looking forward, even when you have over five decades of rich history behind you. We who are beyond the age of 50 must not rest upon our accomplishments—we have a future to build! 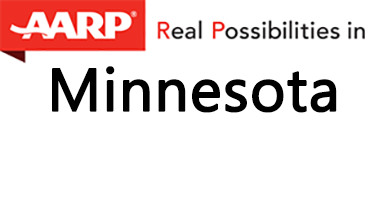 For the third year, AARP Minnesota and Pollen are sharing in a celebration of 50 Minnesotans over the age of 50 who have fully invested in their lives, and the lives of others. Whether their impact is in business, their community, the nonprofit sector, the arts, or in disrupting the status quo, they are all charting their own paths through the adventure of aging. They are not stepping aside—they’re stepping forward with wisdom and with purpose. Join AARP Minnesota and Pollen at the McNamara Alumni Center on Wednesday, October 10, to honor and celebrate the 2018 “50 Over 50” honorees. Tickets available now at 201850Over50.eventbrite.com. Those who disrupt are dissatisfied with the status quo. Disruptors rattle, dismantle, suspend and shift. They create time and space for differing ideas, and interfere with the processes that individuals and institutions use to silence new thinking. The 10 people in this category show us that disruption isn’t just for the younger set—even though some have been disrupting the status quo for decades. These healers, helpers, activists, advocates and educators aren’t just breaking new ground in their chosen fields—they’re also breaking down myths about the impact that the over-50 crowd can have on our shared future. In 1991, when Carrie Puterbaugh was in her 20s, her mother was diagnosed with ovarian cancer. 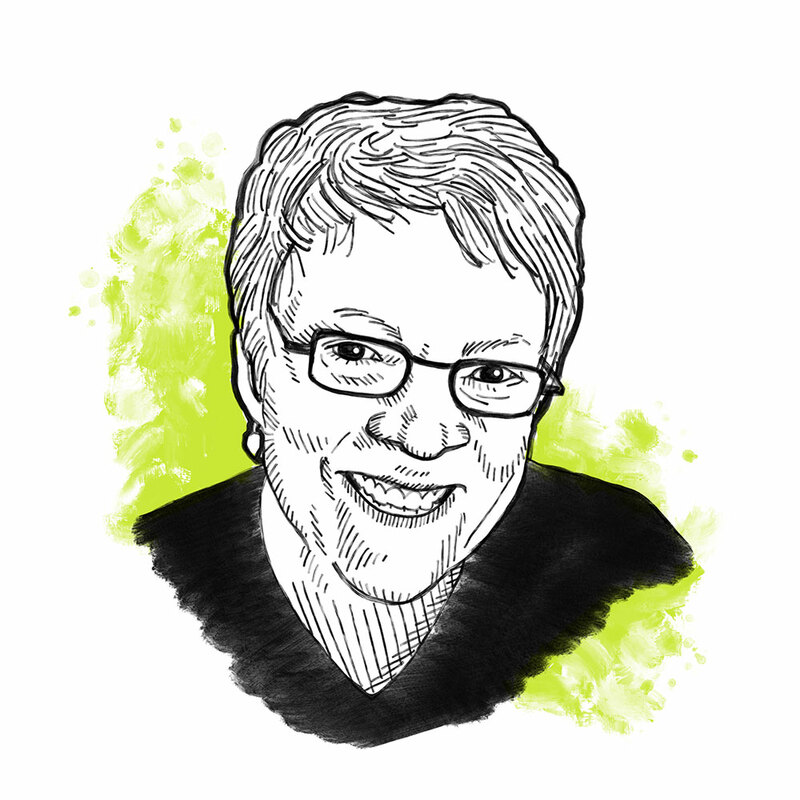 Carrie experienced what others know well: that your world is turned upside down when someone you love has cancer. Determined to do everything she could to help her 65-years-young mom, Carrie set her sights on disrupting the status quo of cancer care by bringing Gilda’s Club to the Twin Cities. Founded in honor of Gilda Radner, the “Saturday Night Live” comic who once quipped that cancer gave her “membership in an elite club she’d rather not belong to,” Gilda’s Club embraces the philosophy that “no one should face cancer alone.” Thanks to Carrie’s efforts over more than a decade, Minnesotans don’t have to. Instead, they can spend time together in a welcoming clubhouse, sharing collective wisdom and insights in support groups, while learning new skills in an education or nutrition class, or practicing yoga and meditation. There are also programs for kids and teens geared toward the needs of younger age groups. And Carrie, a 50-year-old North Oaks resident, has an even bigger disruption of the status quo—all GCTC programs are offered free of charge, because the last thing anyone dealing with cancer needs is another expense. 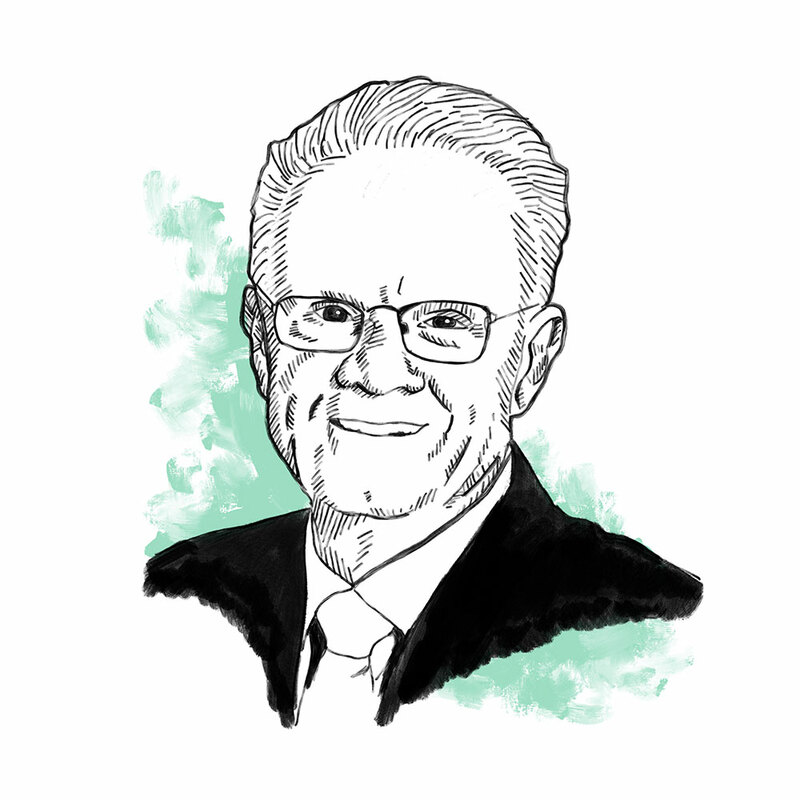 At 85, Dr. Dale Anderson—a.k.a. 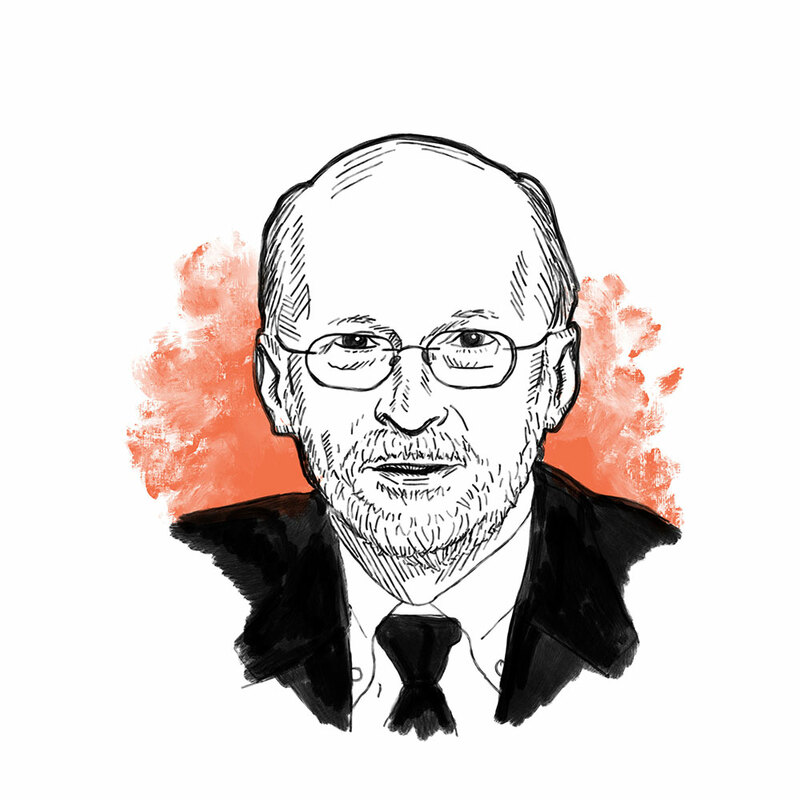 Dr. WELLderly—is on a mission to disrupt theories of wellness by championing a powerful message: How we act influences how we feel—so let’s all act happy. 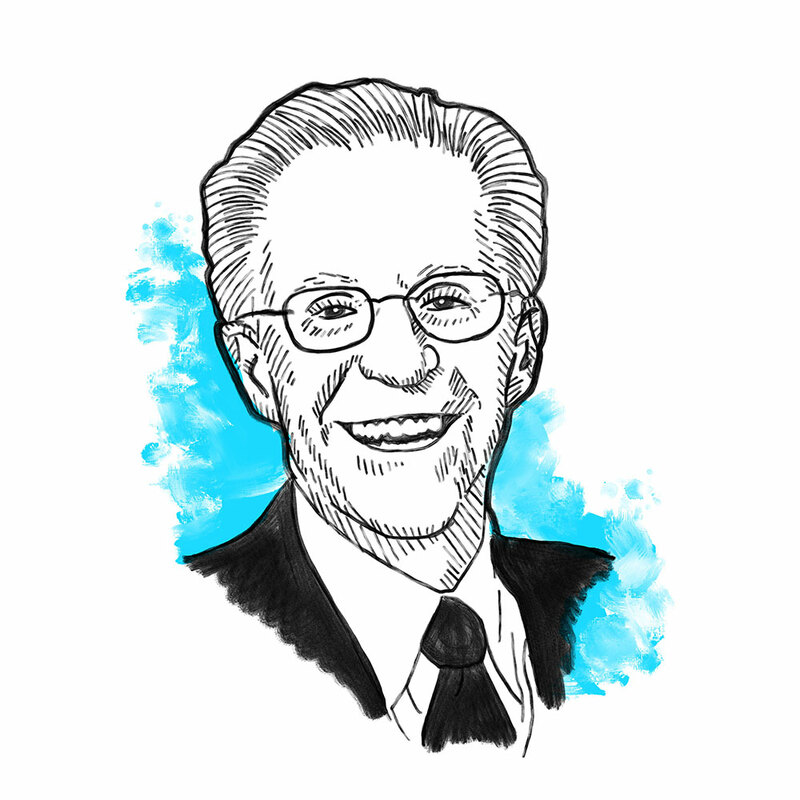 The Minneapolis physician who practiced for over 50 years knows of what he speaks; after a childhood accident, his parents urged him to cope by putting on a happy face, and they did the same. Now, decades later, neuroscience confirms that acting happy, even when we’re not, can make us feel better. Dr. Anderson, a member of the Minnesota Speakers’ Hall of Fame, demonstrates in presentations how standing straighter, smiling bigger, and laughing louder improve how we feel. To promote this life-affirming message, which he has delivered around the world and via a TEDx Talk, Dr. Anderson wrote the playful book, Never Act Your Age, which was honored with a National Senior Media Award. Ageism is rampant across American workplaces—particularly in the tech sector. “Older” workers, even those as young as 40, are viewed as expensive, out of touch, or high maintenance. Add in the challenges of a being a person of color, and an immigrant for whom English was not the first language, and you get an idea of just how much 51-year-old tech guru Hassan Syed has had to overcome to build Bir Ventures USA, a technology incubator he founded using his retirement savings. He’s a big-picture thinker with a big goal: helping young people the world over—especially those who don’t have the networks that come with attending a prestigious business school—find the support they need to make their own entrepreneurial dreams a reality. Hassan has done just that since immigrating from Pakistan in 1994. And now he’s launching IdeaGist.com, the world’s largest digital incubator for innovative ideas, and partnering with Hamline University to launch the Institute for Innovators and Entrepreneurs. 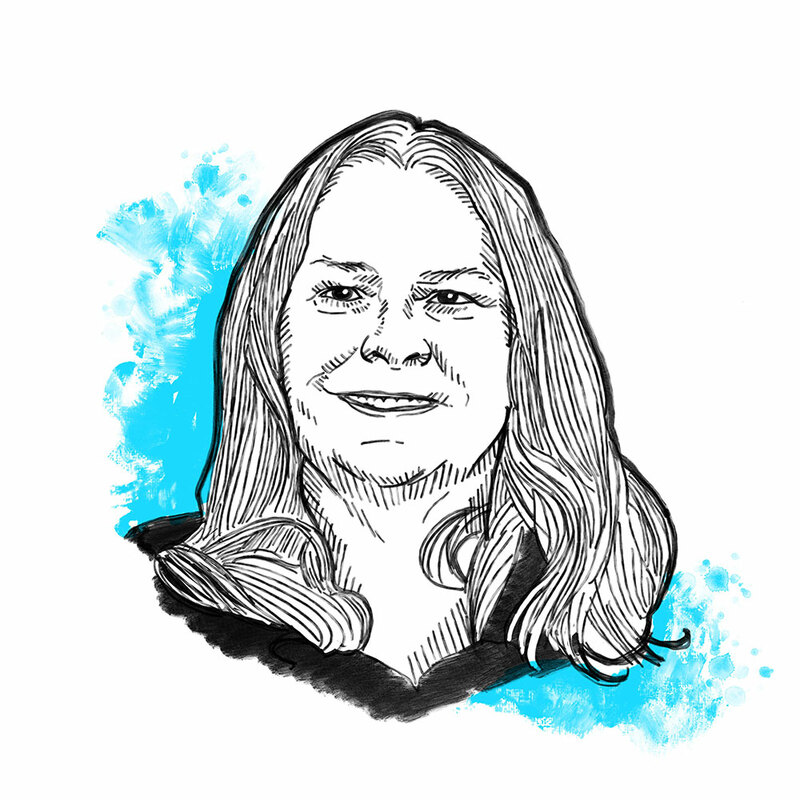 After 17 years of teaching American Indian children about their language and culture, Hope Flanagan, then in her 40s, developed one of the first pre-K Ojibwe language curricula in the U.S. She did this after learning Ojibwe herself—a notoriously difficult language. 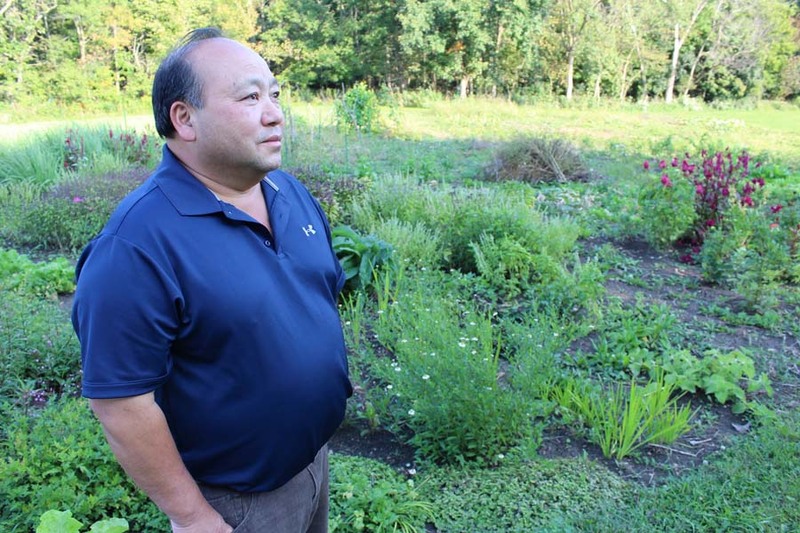 Now the 61-year-old Minneapolis Seneca Turtle Clan member is creating a teaching program that combines the Ojibwe language with the untapped healing power of native plants—plants she has traveled throughout Minnesota to identify and collect. With her ongoing drive to serve the Native American community, Hope also volunteers with the Division of Indian Works and the Minneapolis American Indian Center’s Golden Eagles youth programs. 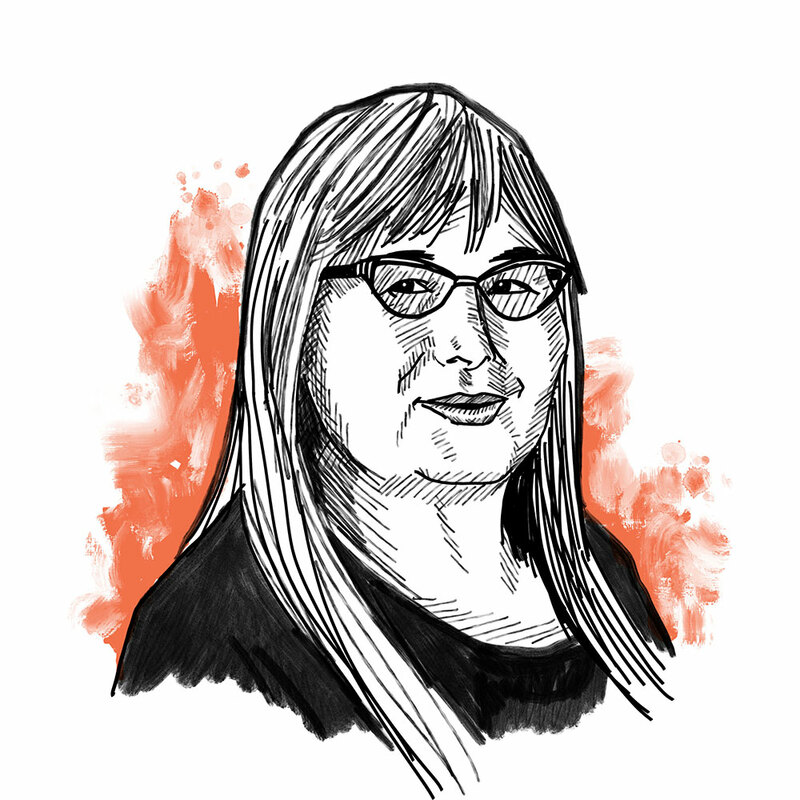 She also consults with the Osseo and White Bear Indian education programs, and the Nigigoonsiminikaaning First Nation, located in Ontario’s Treaty Three territory. When Congress passed the Multiemployer Pension Reform Act in 2014, thousands of retired truck drivers faced deep cuts to their pension checks, transforming them into an army of activists. Many got involved because the law was a direct threat to their livelihoods, but 80-year-old Bob McNattin and 66-year old Jeff Brooks, both of Minneapolis, viewed the decision more ominously, figuring it was only a matter of time before Congress would go after Social Security, too. So, they sprang into action, launching Defend Our Pensions-Minnesota, a grassroots effort that attracted over 600 retirees to its last meeting. The men not only run the meetings, they write press releases, organize rallies, and lobby members of Congress, not easy tasks after spending decades in the solitary cabs of their 18-wheelers. 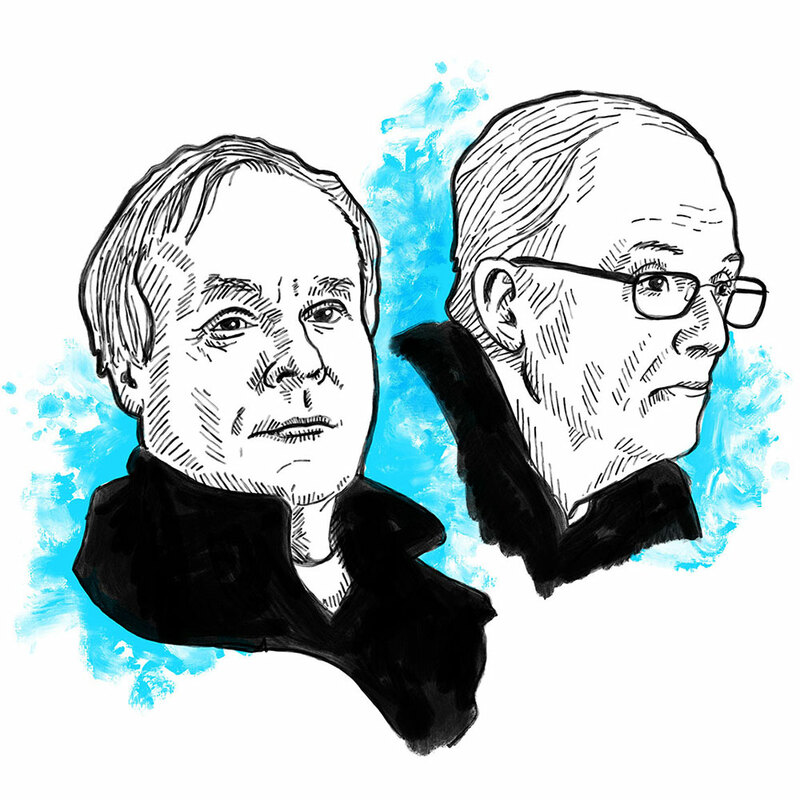 Now, as different types of road warriors, the two men are not just disrupting tired stereotypes of aging and activism, they’re also disrupting attempts to harm the financial security of retirees—and inspiring other retirees to join in the fight. 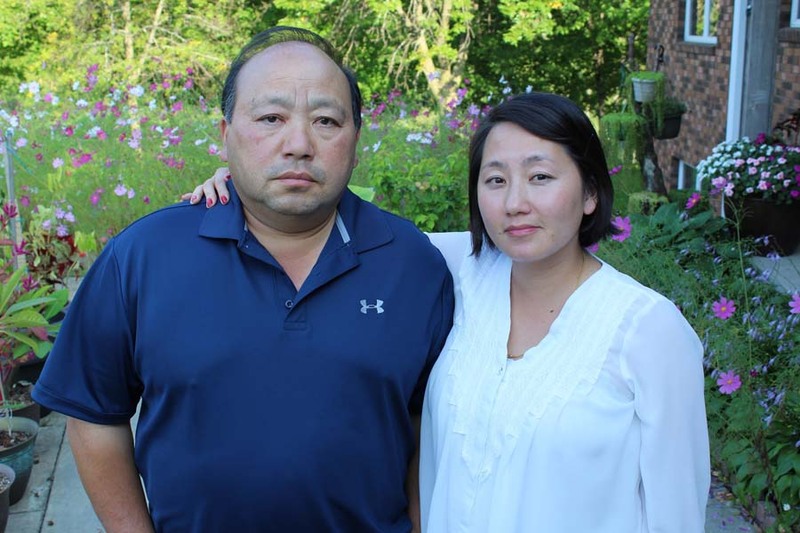 Age-related discrimination is the number one complaint received by the Minnesota Department of Human Rights. It’s also one of many complaints 53-year-old Kevin Lindsey, St. Paul resident and head of the department, is working to eliminate. His accomplishments include raising workforce goals and improving the workplace culture statewide for women and people of color on state construction contracts. 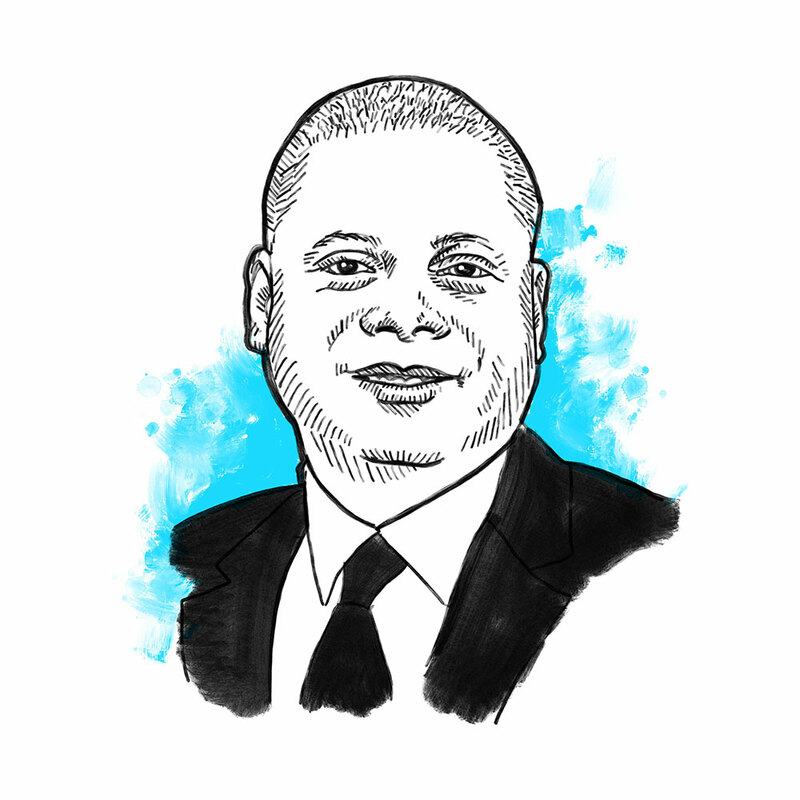 Kevin has championed second chances for ex-offenders, fought against bullying, advocated for non-conforming and transgender students, and rooted out bias that results in special education students and students of color being disproportionately suspended. Committed to addressing the growing number of complaints his office receives, Kevin has set a high standard—for himself and for those who work for him—to go further and reach wider in order to protect the basic human rights of all Minnesotans. Courageous or crazy? That’s the question Lori La Bey asked herself after using her life savings to start Alzheimer’s Speaks, an advocacy-based company and media outlet. After acting as a care companion for her mother—who lived with the disease for over 30 years—Lori made it her life’s mission to shift our nation’s dementia care culture from crisis to comfort. 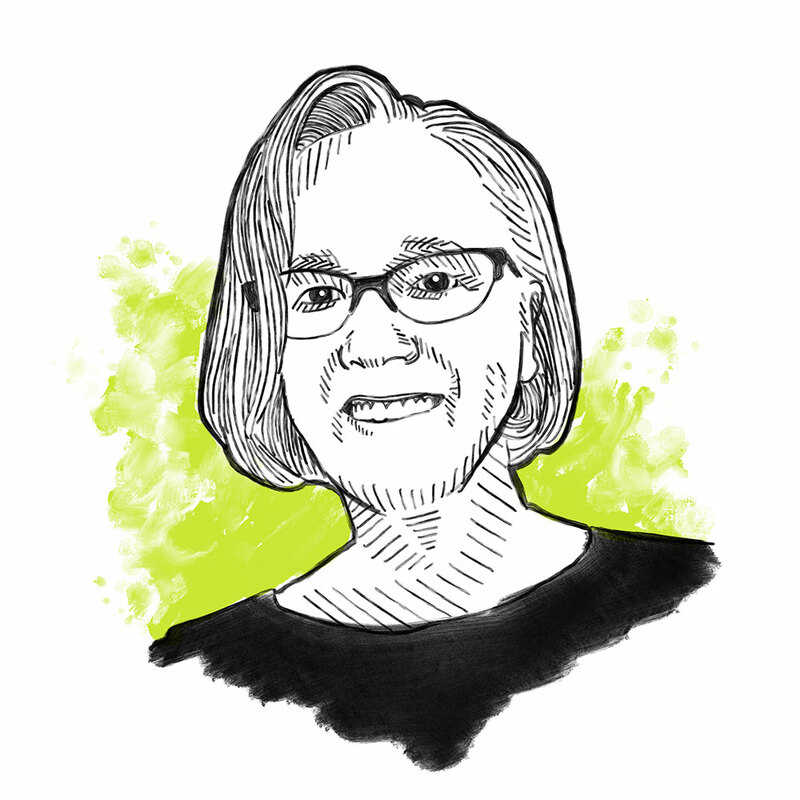 Her all-encompassing approach disrupts the paradigm that “experts know best” by drawing upon the knowledge of those living with dementia and their care companions, in addition to medical professionals, researchers, advocates, and businesses. Lori is the creative genius behind Alzheimer’s Speaks Radio and Dementia Chats™, a free video series featuring those living with dementia. Lori also partnered with the Lutheran Home Association to start our nation’s first dementia-friendly city, Watertown, Wisconsin. A true architect of change, the 59-year-old Maplewood resident has been honored in numerous ways: Oprah declared her a Health Hero and Worthy Changemaker, Maria Shriver called her an Architect of Change for Humanity, and Dr. Oz named Alzheimer’s Speaks as the “#1 Influencer Online” for the disease. Now 71 and retired, Maria Michlin is still fighting for elders, even when it means rattling a few cages. After a lengthy career advocating for adults with mental illness and applicants for Social Security disability income, the Anoka resident earned her law degree from William Mitchell at age 49. Then, as an attorney with Legal Aid Society of Minneapolis, she represented seniors in a variety of cases, including involuntary nursing home discharges. Maria is now serving her second appointed term on the Minnesota Board on Aging, helping older Minnesotans stay in their homes and working hard to dismantle ineffective service models in favor of more innovative ones that better serve our aging population. As the Deputy Ombudsman and Acting State Ombudsman in Minnesota’s Office of Ombudsman for Long-Term Care, Maria advocated for nursing home and assisted living residents to be free from abuse and neglect. And while all this might overload most people, Maria had more to give—she recently became a court-appointed guardian for an older, vulnerable adult with severe developmental disabilities. Fifty-two-year-old Matthew Stanford is many things: a renowned yoga teacher, an award-winning author, a sought-after public speaker, a leading voice in the integrated health movement, and a paraplegic. The Orono resident is helping others transform trauma, loss, and disability into hope, and he’s disrupting notions of what bodies can and can’t do. After surviving a devastating car accident at age 13 that killed his father and sister, Matthew was paralyzed from the chest down. But what he says really crippled him was his doctor’s advice to “forget your lower body.” At age 25, he discovered yoga and the power of mind-body healing. In 2002, he launched Mind Body Solutions, a nonprofit consulting practice and yoga studio that has since trained hundreds of yoga teachers, healthcare professionals, caregivers and patients worldwide in adaptive yoga so that every body can enjoy the benefits. 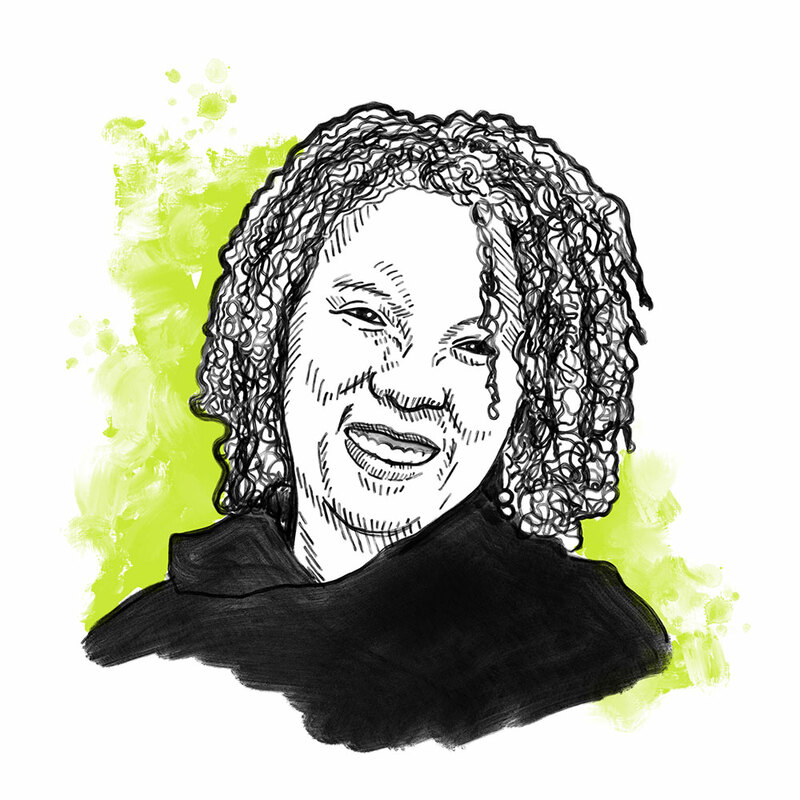 Fifty-six-year-old Valerie Shirley, is a Minneapolis resident who has devoted her life to empowering those who are underrepresented or completely invisible. She has worked tenaciously to break down barriers and make the world more accessible to her deaf son and others, first by teaching herself and her entire family sign language, then returning to school in her 40s to complete her degree. 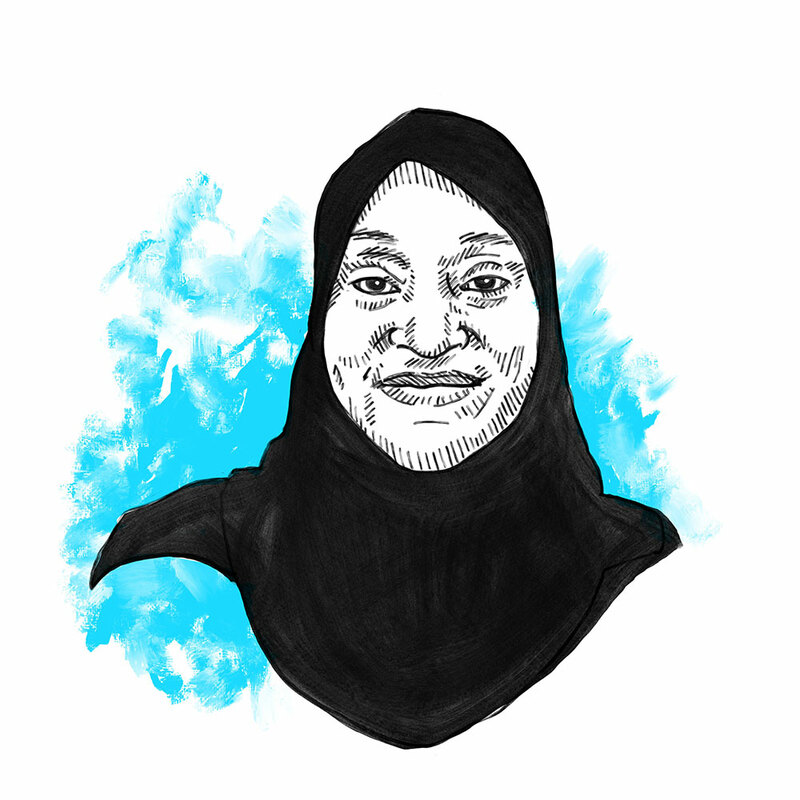 Ten years later, she earned her master’s degree in deaf education and co-founded the Minnesota Deaf Muslim Community, a nonprofit that ensures effective communication for individuals who are deaf, deafblind, and hard of hearing. As a member of several advocacy-centered boards and commissions, she has helped to shift the culture of mosques in Minnesota and nationwide by working with them to include American Sign Language interpreters like herself at prayer services. The best nonprofit leaders always have their eyes on the prize—and they are big prizes indeed: justice for all, equitable access to information and services, and peaceful coexistence. The 10 amazing nonprofit dynamos in this category know that people over 50 have a lot to offer when taking on the toughest issues in our community—not just wisdom, but real energy and innovation. Each brings a generous helping of all three to their work in wellness, storytelling, education, arts, and leadership. No matter the issue, they’re all about making things better, and they aren’t content to step aside when there’s so much “better” left to make. They say that if an otter can’t have fun doing something, it simply won’t do it. The same is true for 58-year-old Lutsen resident Ann Possis. Since realizing in her early 30s that the corporate ladder wasn’t for her, Ann has focused on two things: doing work that is fun, and creating fun for others. And the North Shore is all the better for it. 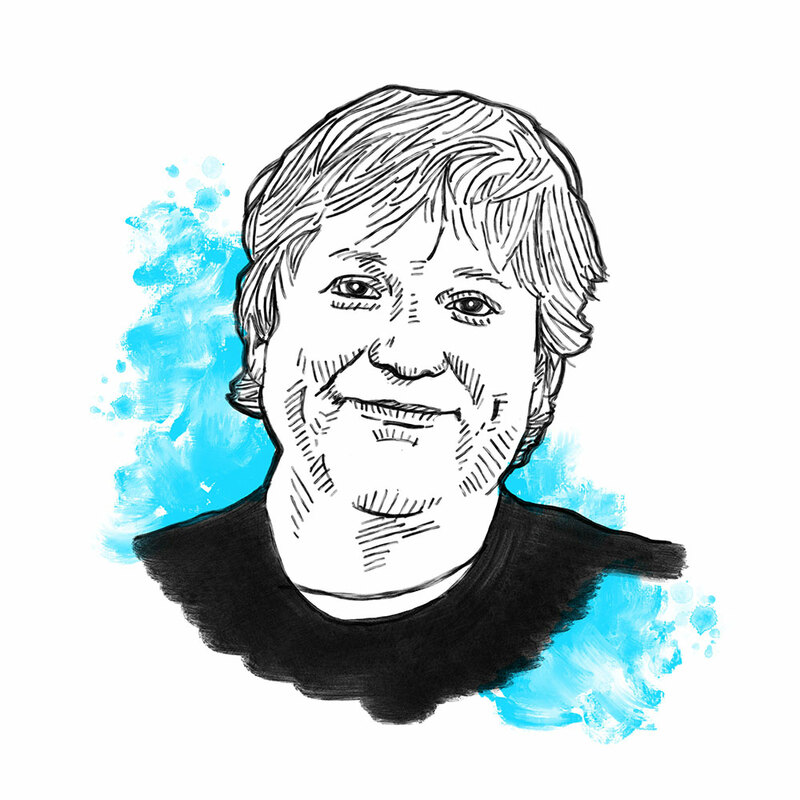 For nearly 20 years, she’s been a board member, producer, and volunteer host for WTIP, Grand Marais’ nonprofit community radio station. And as one fan says, the North Shore would not be—or sound—the same without her. Ann also serves on the Grand Marais Art Colony board and volunteers with the North Shore Readers and Writers Festival and the Great Place Project, which, thanks to Ann’s efforts, recently funded a ping-pong table on the lawn outside the Grand Marais Public Library where tourists and locals now join one another for a little friendly competition … and a whole lot of fun. Less pain. Lower blood pressure. Healthier hearts. These are just some of the benefits 62-year-old Connie Priesz of Shakopee delivers with the help of her dog, Molly. After 35 years in public education, Connie embarked on an encore career by training her Vizsla—bred to be good-natured and gentle-mannered—as a registered therapy animal. Now, on any given day, Connie and Molly can be found at the Minneapolis VA Medical Center, in a local hospital, nursing home, or senior housing facility. Connie also promotes literacy by visiting schools and inviting students to read to her tail-wagging pup. Connie and Molly are also North Star Therapy Animal ambassadors, appearing at events to promote the benefits of therapy animals. To date, the duo has participated in hundreds of events, logged more than 1,900 volunteer hours, and lifted the spirits of over 10,000 people. Good mental health is everyone’s birthright. That belief is at the heart of 73-year-old Zehra Ansari’s work. 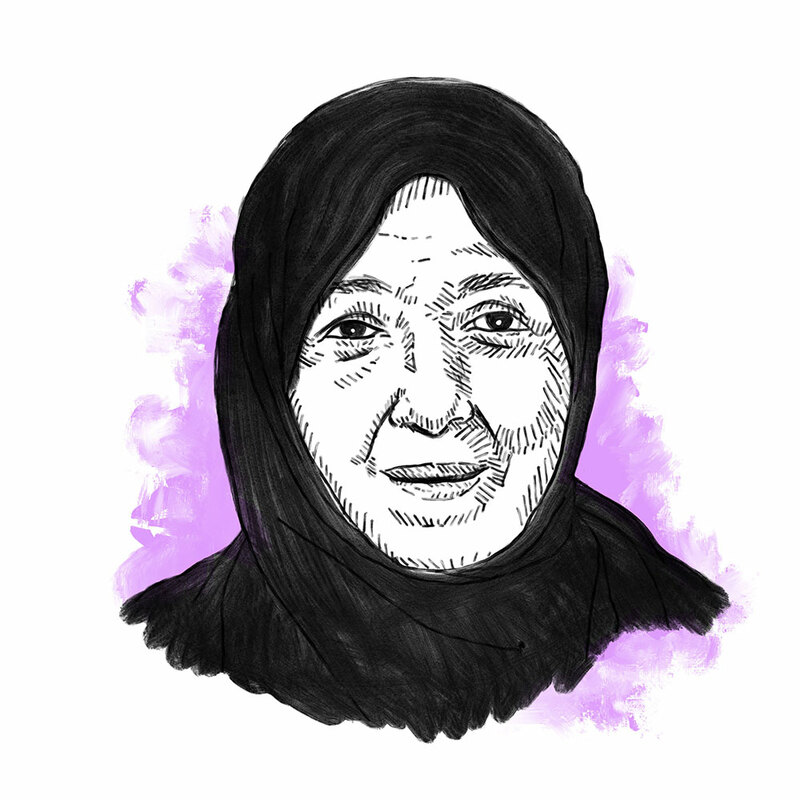 An immigrant herself and a well-respected community elder, Zehra has been a practicing psychologist for 34 years. Working first as a school psychologist for 20 years, the Maplewood resident launched her own practice in 2001 to focus on helping immigrants, especially those who have experienced trauma or stigmatization. Her ability to speak multiple languages, including Urdu and Hindi, helps her offer healing practices to a diverse community. And although she officially retired in 2010, she’s now tackling two other important issues in her community—sexual assault and suicide—by encouraging people of all ages and races to work together for the mental and physical health of all. 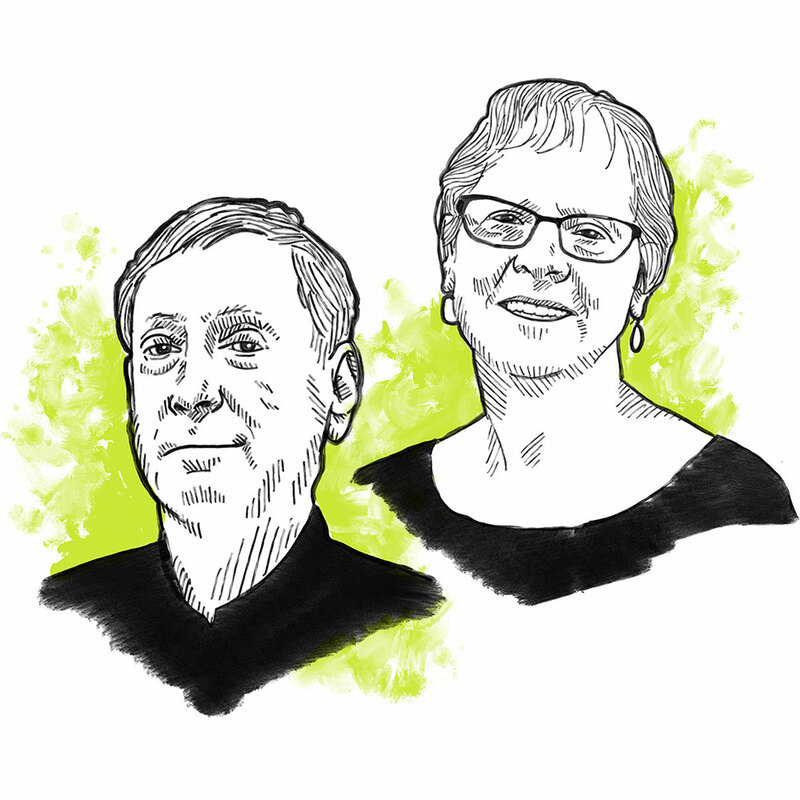 In 2007, after “retiring” in their 50s, Joel and Laurie Kramer of Minneapolis founded MinnPost, one of the earliest not-for-profit regional online news sites that has since become one of the nation’s largest and most successful. Joel contributed his experience as a journalist (he was previously editor and then publisher of the Star Tribune, and editor of two investigative Pulitzer-prize winning projects), and Laurie offered a lifetime of experience in nonprofit work, including the founding of an annual mental health conference. “Retiring” once again in 2016, Laurie, now 70, chairs the MinnPost board development committee and produces MinnRoast, MinnPost’s main fundraiser and one of our state’s most entertaining political evenings. 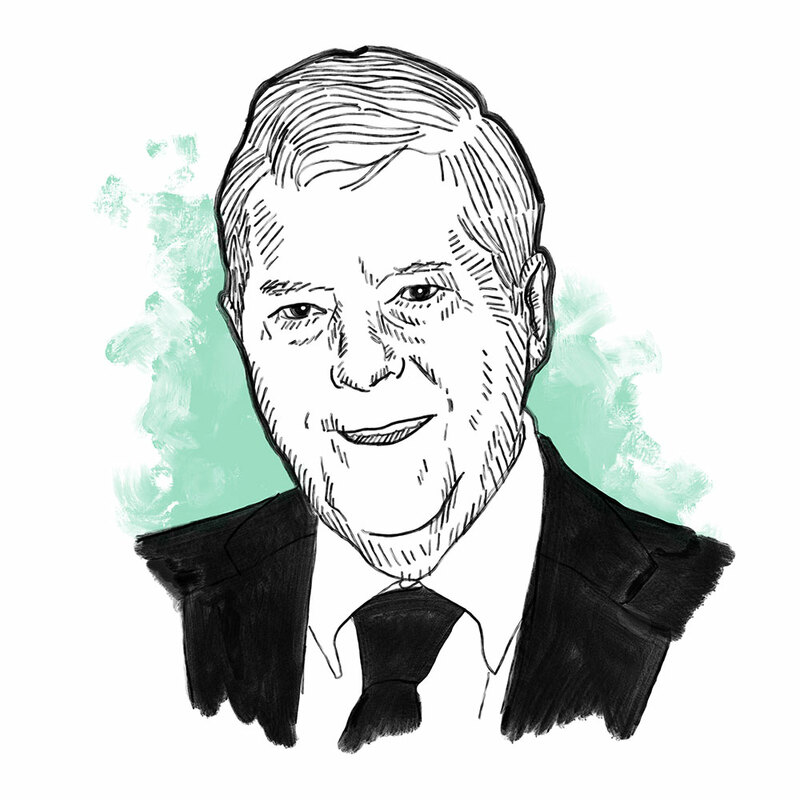 Joel, also 70, remains on the MinnPost board, coaching both the CEO and editor who succeeded him. year-old Libby Utter, you launch another. Libby transformed herself from an executive recruiter to the executive director extraordinaire of Gilda’s Club Twin Cities, a nonprofit laser-focused on ensuring that no Minnesotans face cancer alone. 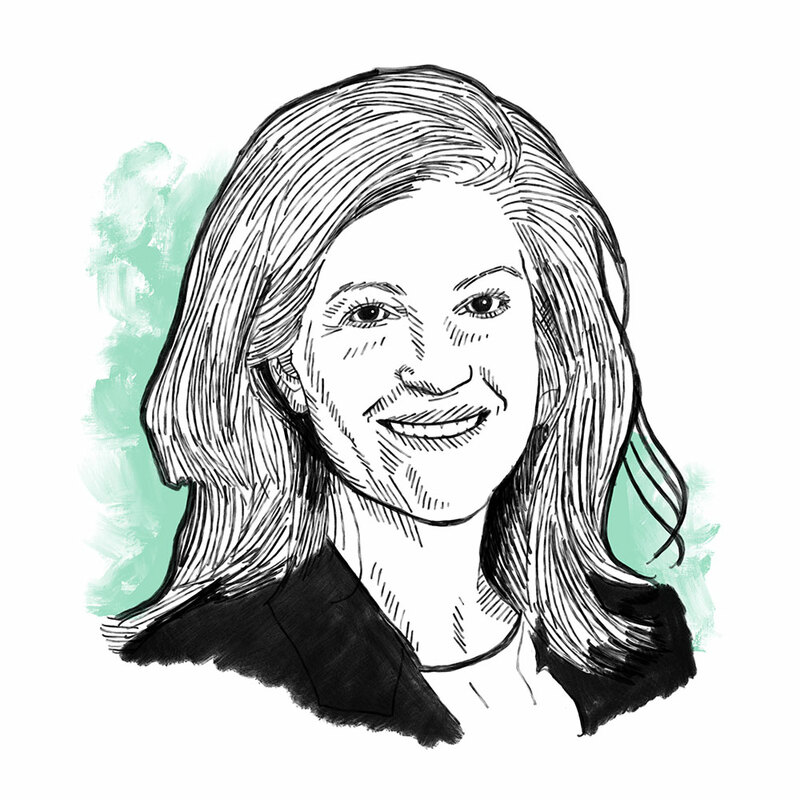 But Gilda’s Club isn’t the only nonprofit to benefit from Libby’s leadership. Previously executive director of Gillette Children’s Foundation, she secured a $1 million pledge, and as vice president of development for Ronald McDonald House Charities, she completed a $2.2 million capital campaign in just 18 months. In addition, Libby has served on the boards of numerous local nonprofits, including the Minnesota Brain Injury Alliance, the Scleroderma Foundation, the Playwrights’ Center, and Theater Latte Da, where she is currently a member of the development committee and a frequent audience member. Up before sunrise, Libby starts each day cycling, swimming, or trail running near her Deephaven home as she trains for half-marathons and duathlons. All this, and she still manages to read 100 books a year! 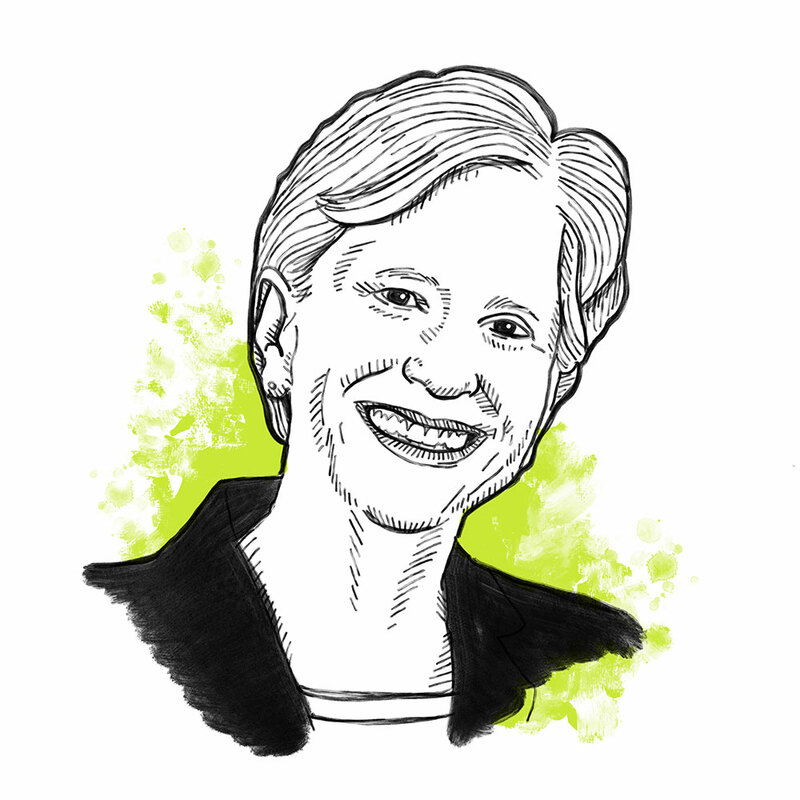 “A fireball!” That’s how one person recently described Peg Lonnquist, Ph.D.—a 64-year-old an Eagan resident with out-of-this-world leadership. 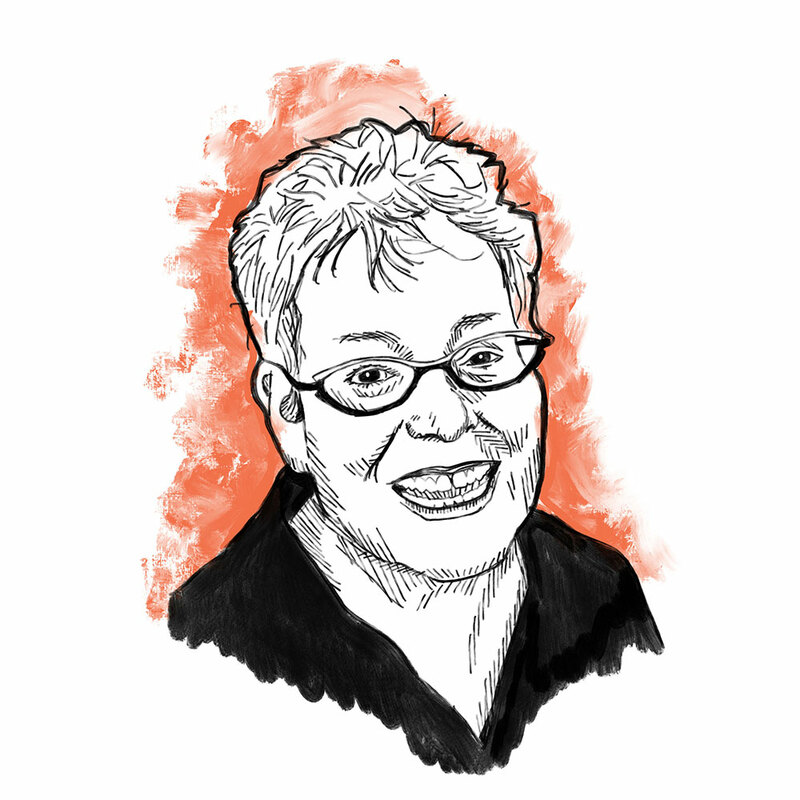 She’s the director of the University of Minnesota Osher Lifelong Learning Institute (OLLI), where they engage over 1,200 Minnesota retirees via 300 noncredit courses, 30 interest groups, hundreds of special events, and dozens of travel opportunities. 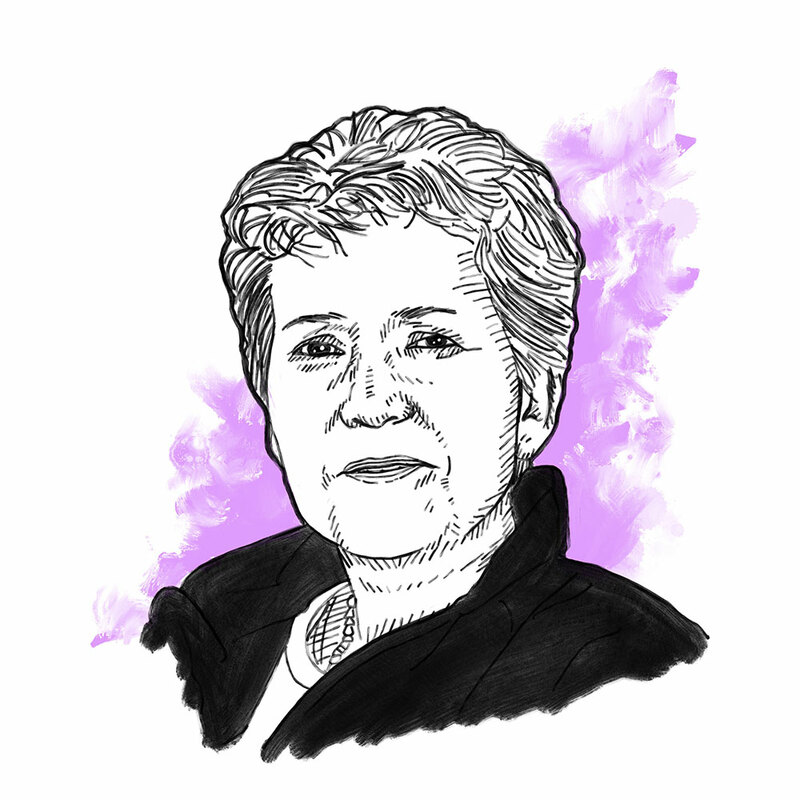 Before joining OLLI, Peg directed the University’s Women’s Center, where she continued to pioneer what she calls “intergalactic” leadership—implementing participatory, inclusive and creative, research-based practices. 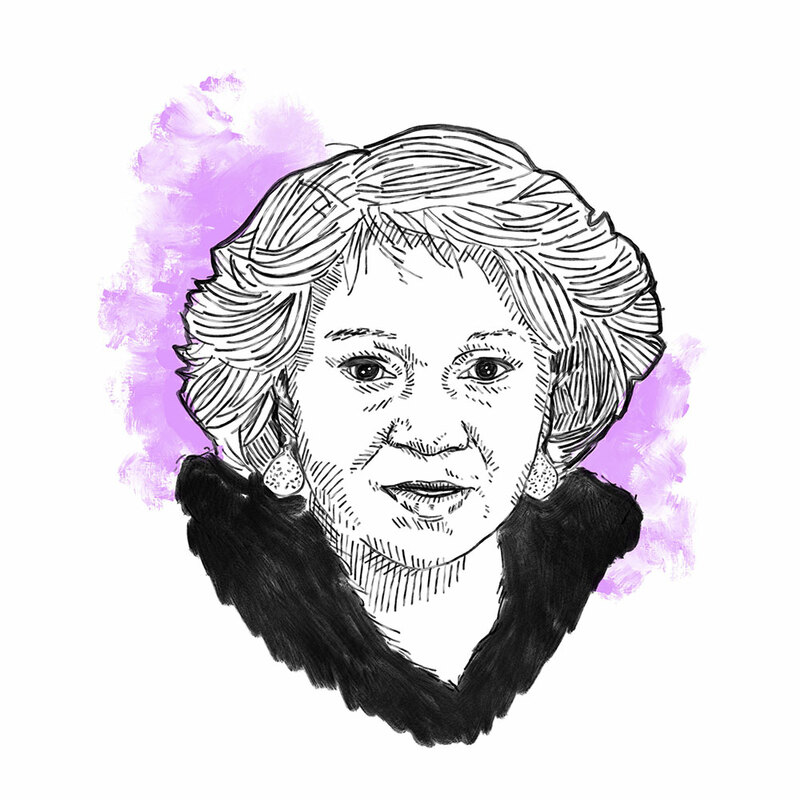 Peg advocated for first-generation, immigrant women, and women of color college students, coached and championed women leaders, and was instrumental in helping solve a 25-year fight to add women’s bathrooms to a campus building. Her work also led to the creation of maroon and gold hijabs for U of M students, a project that earned Peg the C. Eugene Allen Award for Innovative International Initiatives. Not yet ready to retire, Peg is planning an active future, which she says will include more collaborations toward social justice, and hopefully, adding joy to the world via flash mobs. If you’ve ever listened to Minnesota Public Radio (MPR) broadcasts of “The Splendid Table,” “Marketplace,” or “BBC World Service,” you have Randi Yoder to thank. 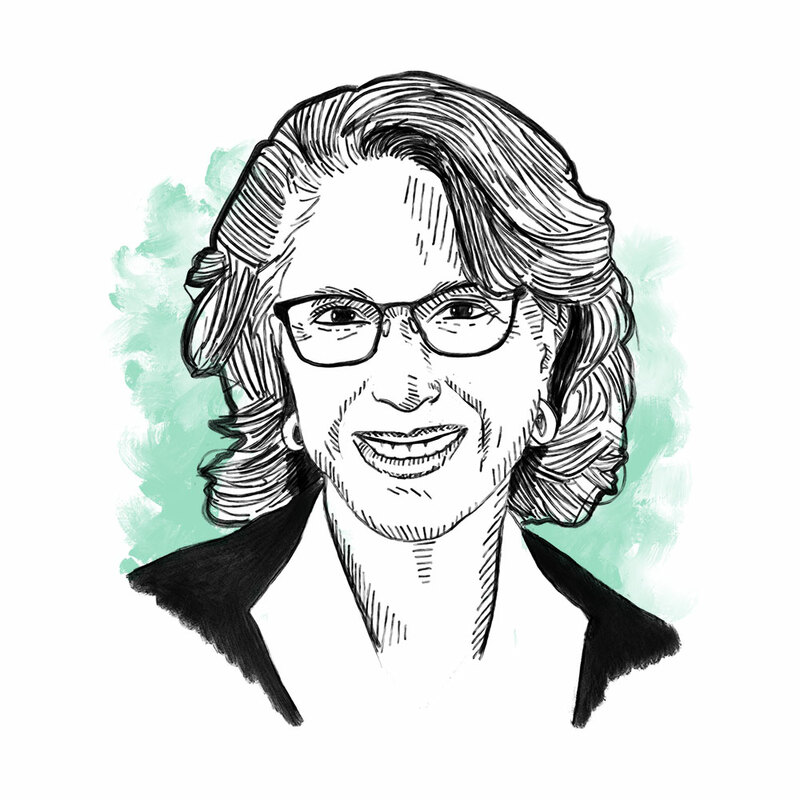 A seven-year member of MPR’s leadership team, Randi, 66, has a reputation for pushing investigative journalism and innovative programming, most recently in three important areas: water, mental health, and early-childhood learning. She’s also delivering impressive results as head of MPR’s capital campaign. In just 30 months, she’s secured $65 million in pledges, gifts, and planned gifts toward the campaign’s $75 million goal. 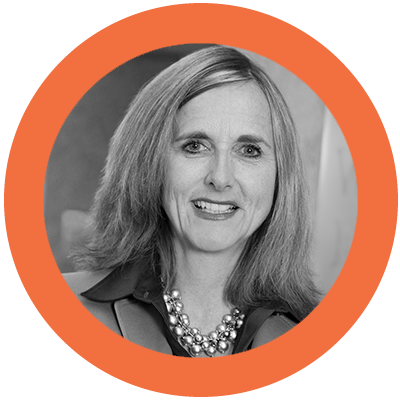 Such successful capital campaigns are one of Randi’s talents; she’s led them for St. Catherine University, the University of Minnesota’s Carlson School of Management, the Greater Twin Cities United Way, and the Minneapolis Central Library. St. Paulite Sarah Stoesz, 60, has served as president and CEO of Planned Parenthood Minnesota, North Dakota, South Dakota since 2001, and is transitioning to the president and CEO of a new multi-state affiliate: Planned Parenthood North Central States (PPNCS), which includes management of Iowa and Nebraska, making her the leader of one of the country’s largest Planned Parenthood affiliates. PPNCS will serve 114,000 patients. Sarah’s leadership has helped expand expanded access to expert, patient-centered reproductive health care and education. She established online health services and enhanced clinic facilities to meet the region’s diverse and changing needs. Stoesz also co-created Afaxys, a manufacturer and group purchaser of contraceptives, and Bridge, a health services company with IT, revenue cycle management and other services. She sits on the boards of both. 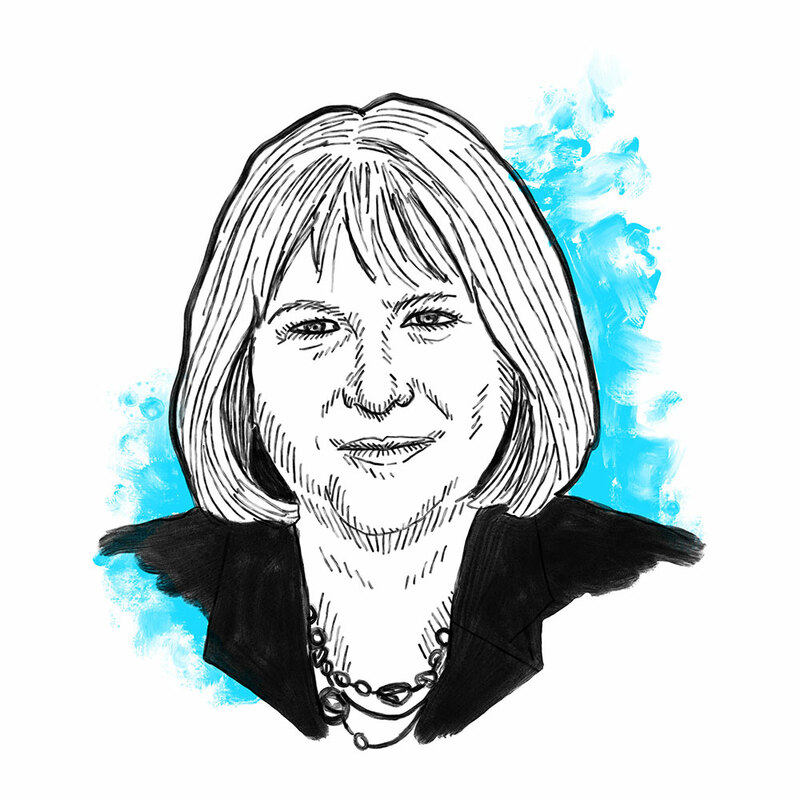 A strong local and national leader, Stoesz has served on many boards, including Planned Parenthood Federation of America, and chairing the Minnesota Council of Nonprofits and the Loft Literary Center, among others. One of 13 grandchildren raised in the Bahamas by her grandmother who lived to be 94, Minneapolis resident Dr. Verna Price, 55, doesn’t hold the typical American view that glorifies youth and fears old age. Instead, she associates aging with wisdom, power, responsibility, and increased opportunities to love and serve others. And that’s exactly what Dr. Price does. Thirteen years ago, she founded the nonprofit Girls in Action™ (GIA) in response to a administrator’s plea to help girls at North High School in Minneapolis, many of whom were missing school, getting suspended, and becoming pregnant. Thanks to GIA’s curriculum, which stresses academics and leadership, the girls are making major strides, including better grades and fewer suspensions. What’s more, 95% graduate high school and 80% of those go on to college. No wonder GIA has expanded to Atlanta, Chicago, Detroit, Beijing, and Guatemala City. After an early 1980s arrest as a young man, VJ Smith turned his life around, vowing to spend it helping at-risk youth throughout the Twin Cities do the same. 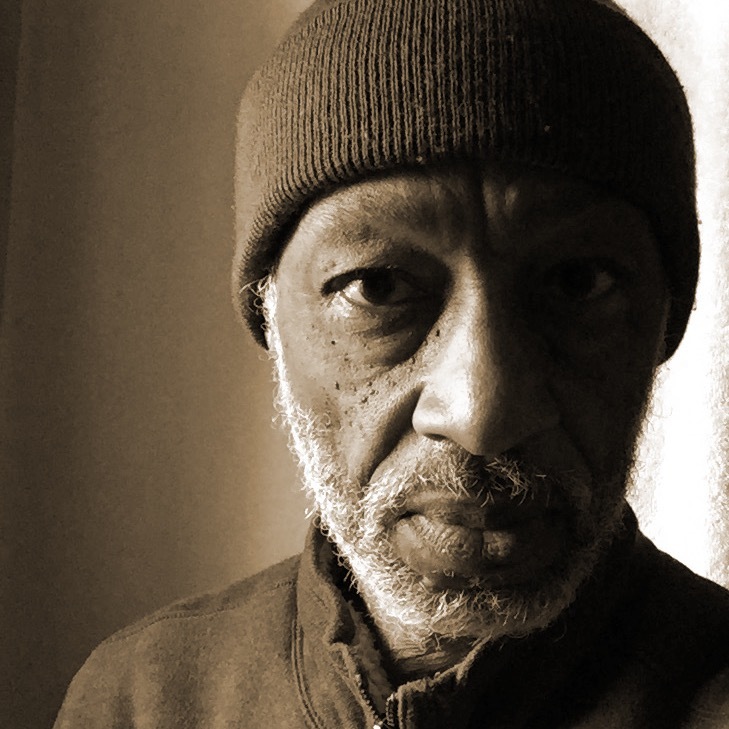 Today, the tireless, 63-year-old Minneapolis resident heads the Minneapolis Chapter of MAD DADS (Men Against Destruction, Defending Against Drugs and Social-disorder). In his role, VJ hosts spur-of-the-moment Sunday barbeques, leads middle-of-the-night vigils, and facilitates emotional counseling sessions for black and brown men, women, and children—all while offering a constant source of unconditional love and friendship that inspires others to move away from guns, gangs, drugs, and violence in favor of school, jobs, and self-respect. Success in business is sometimes measured with simple arithmetic, but many in business see true success as finding ways to sustain both themselves as well as the environments in which they exist. That’s the common bond between these 10 business leaders. Whether they’ve made a name for themselves in banking, financial planning, life planning, marketing, media or medicine, they all apply their effort and know-how to invest in their neighbors and communities. They’re living proof that these unique combinations of skills and values don’t depreciate past age 50. Skin is the body’s largest organ—and Dr. Charles E. Crutchfield III, owner of Crutchfield Dermatology, works tirelessly to keep skin of all shades healthy. And “tireless” is perhaps an understatement. The 57-year-old Eagan resident sees patients five days a week, manages a staff of 40, and serves as a clinical professor at the University of Minnesota Medical School, where he’s earned three distinguished teaching awards. 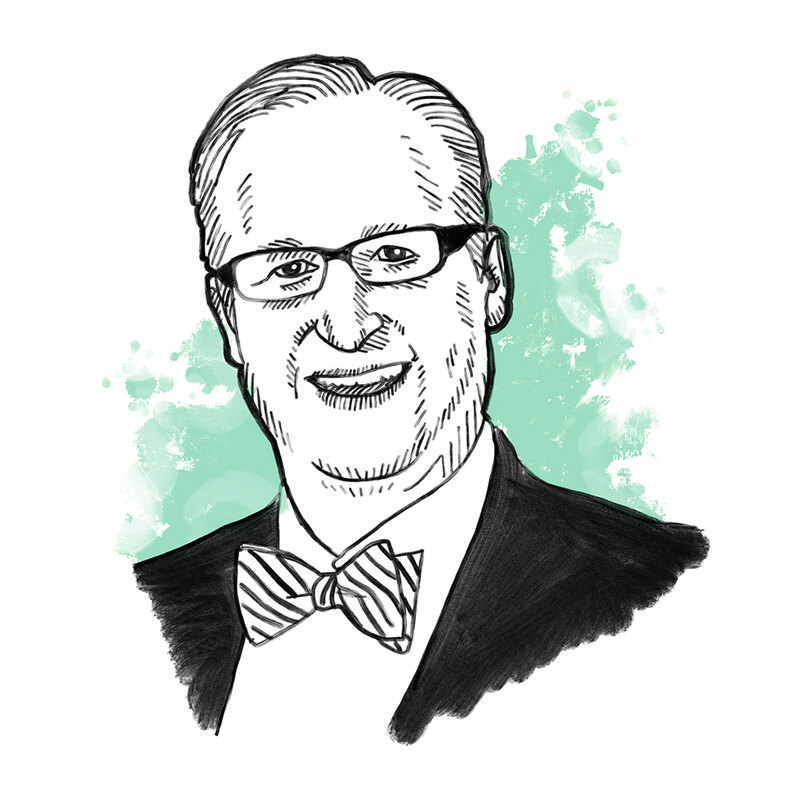 Dr. Crutchfield also serves as team dermatologist for the Timberwolves, Twins, Vikings, and Wild; and publishes a dermatology “case-of-the-month” that’s delivered to over 50,000 physicians worldwide. 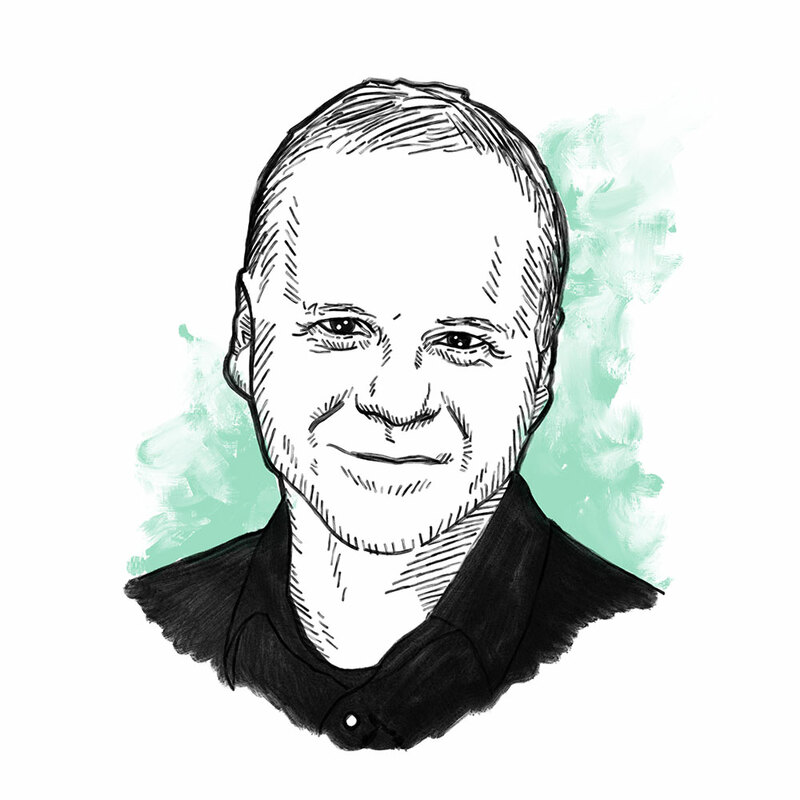 He also writes a highly regarded column on skin care for the Minneapolis Spokesman-Recorder, and has penned over 200 scientific and educational publications, plus several books, including one for children. He’s a founding member of a nonprofit dedicated to improving the safety and ethics of cosmetic skin care for people of all ethnicities, and he sponsors a lecture series on the topic. So, it’s no surprise that Dr. Crutchfield has received virtually every prestigious professional recognition, including the Karis Humanitarian Award from the Mayo Clinic. 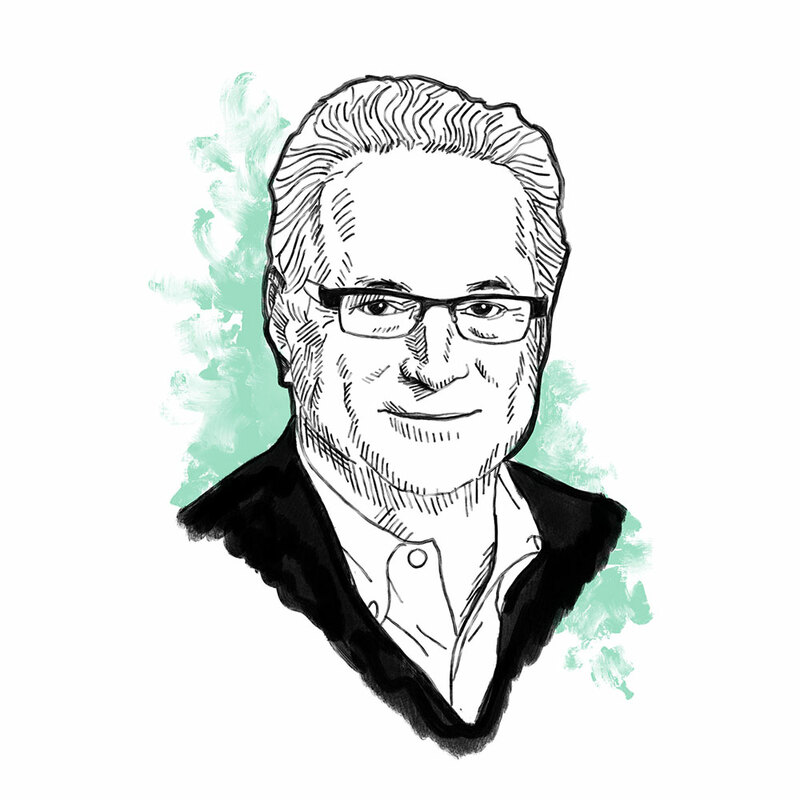 He’s a senior economics contributor to American Public Media’s “Marketplace.” He’s also a Minnesota Public Radio economics commentator, and a newspaper columnist, and the author of Unretirement: How Baby Boomers are Changing the Way We Think About Work, Community, and the Good Life. 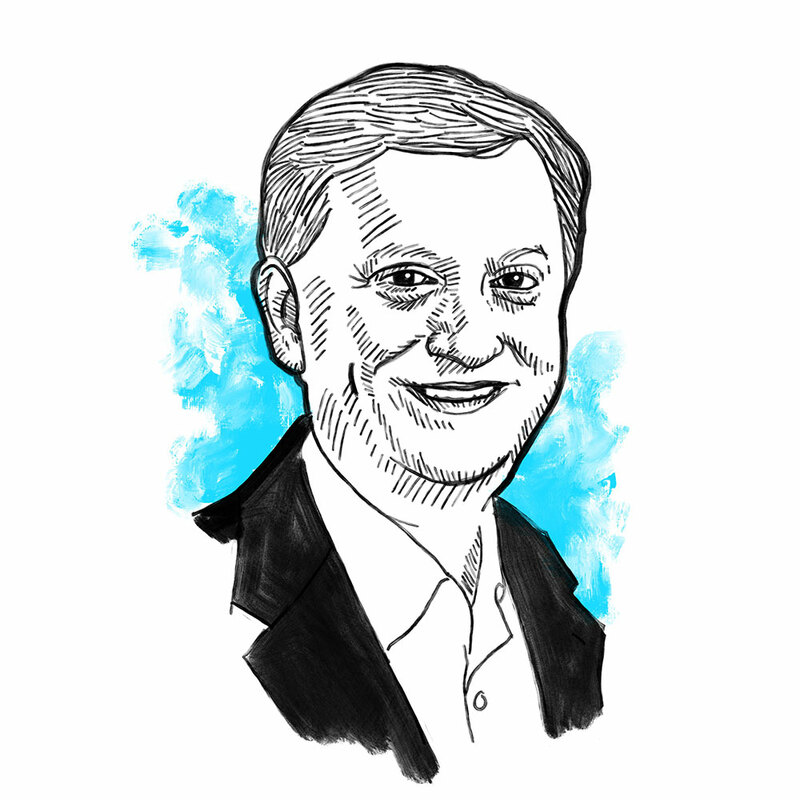 It’s clear: Chris Farrell, age 59 of St. Paul, has spent his career calling attention to important financial issues and acting as a trusted guide to saving for retirement, investing wisely, navigating Social Security, and more. Recently, Chris’ reporting has challenged the outdated perception that careers end in your 60s. In fact, in his mind—and increasingly, in the minds of others—60 is just the beginning of the second half of life, which is why much of Chris’ work centers on how older adults can stay in the workforce and continue to earn money for retirement. Chris also hosts “Conversations on the Creative Economy,” a discussion series that highlights successful businesses owned by seniors, women, and people of color—all to inspire diverse entrepreneurs of all ages. Determined to “never let the old man in,” 69-year-old Dan Prosser of Minneapolis is taking a cue from his 93-year-old father, who didn’t fully retire until age 86 and is still going strong. Like him, Dan simply has too much left to accomplish. That includes building PromisEZ.com, the online Accountability Scorecard® business he launched last year, and promoting Thirteeners: Why Only 13 Percent of Companies Successfully Execute Their Strategy and How Yours Can Be One of Them, which was named one of the world’s top five business books in 2015 at the Frankfurt Book Fair. 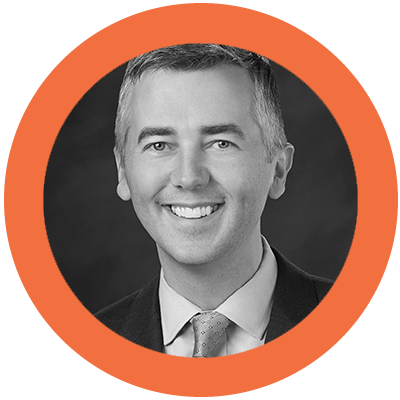 Both Dan’s company and his book strive to shake up bottom lines in favor of connectedness across generations, thus enabling baby boomers and millennials to work together more successfully and putting an end to multi-generational struggles experienced by many American companies. When not at work, Dan, who along with actor and activist Marlon Brando posted bail for American Indian Movement leader Russell Means, can be found riding his ElliptiGo® bike around Bde Maka Ska. There must be more hours in his day. It’s the only explanation for how Minneapolitan Gary Cunningham, 61, accomplishes so much. 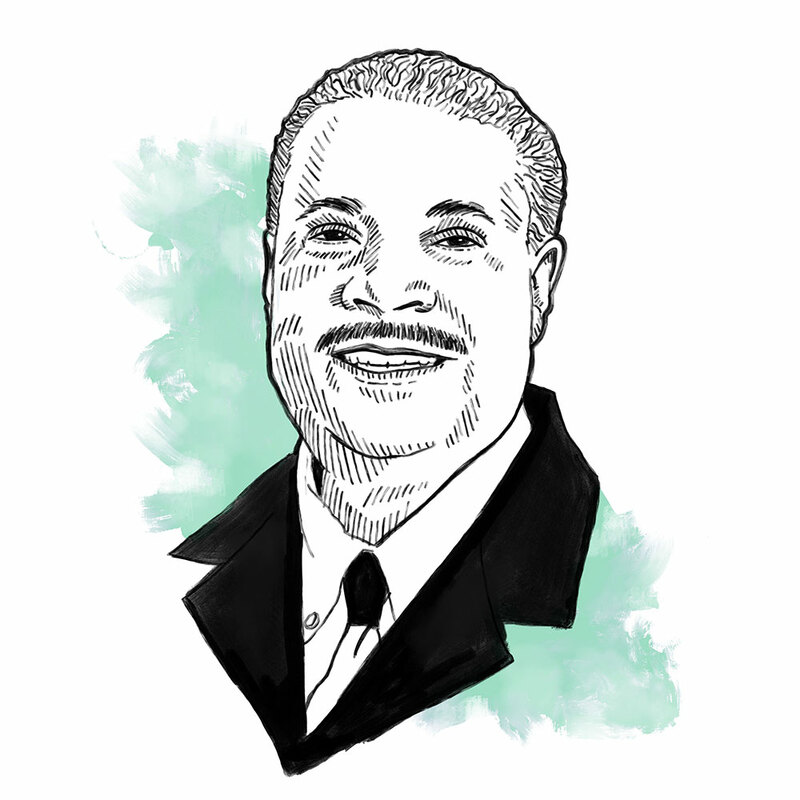 He’s president and CEO of Meda, a nonprofit that has helped more than 20,000 local business owners of color and has been recognized by the US Department of Commerce as the nation’s top-performing minority business development center. Gary also finds time to support other important causes: civil rights, education, and public policy. 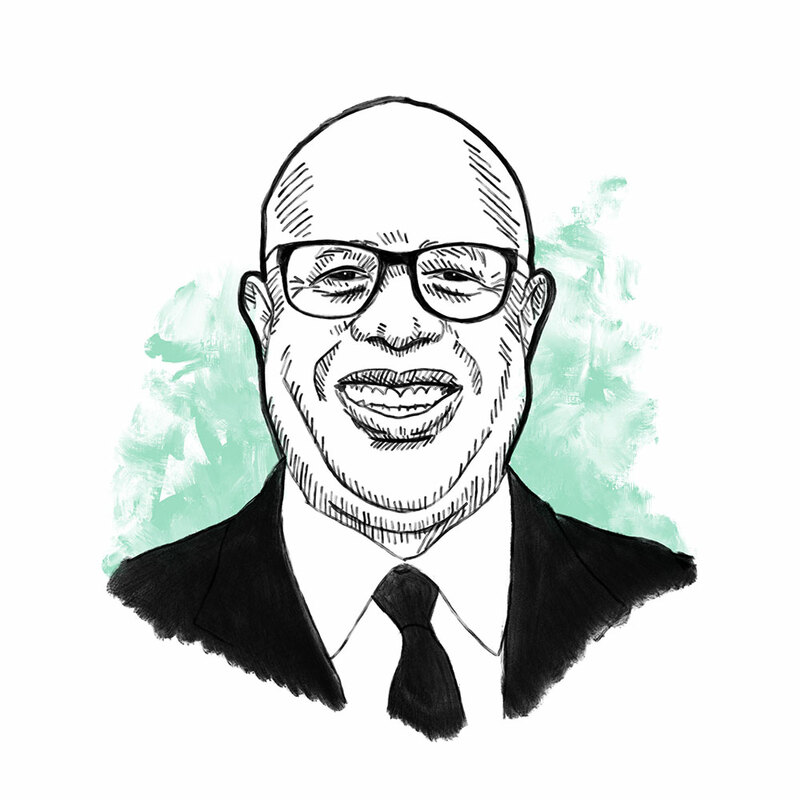 He held top positions with the African American Leadership Forum and the Association of Black Foundation Executives, and he’s a trustee of both the Minneapolis and Metropolitan State University foundations. 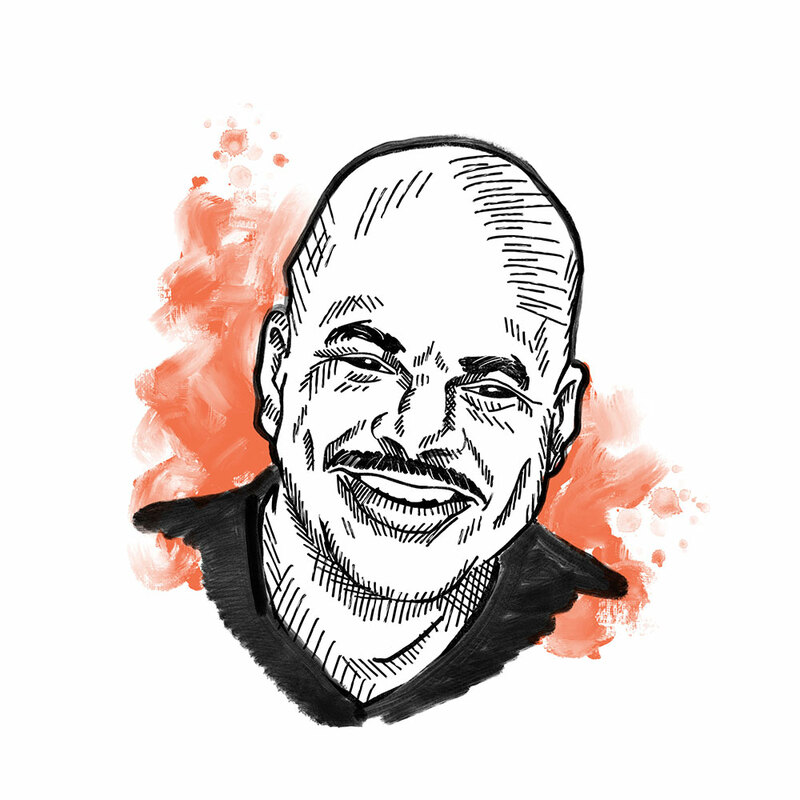 He’s also a Metropolitan Council member, as well as founder of the award-winning African-American Men Project, which helps young men recommit to their families and communities. Gary also introduced the Coalition of Communities of Color to the Twin Cities, bringing 30 different nonprofits together to work for the common good of all communities. No wonder he’s been named to dozens of who’s who lists, including the Minnesota Business (Real Power) 50 and Twin Cities’ Business 100 People to Know. 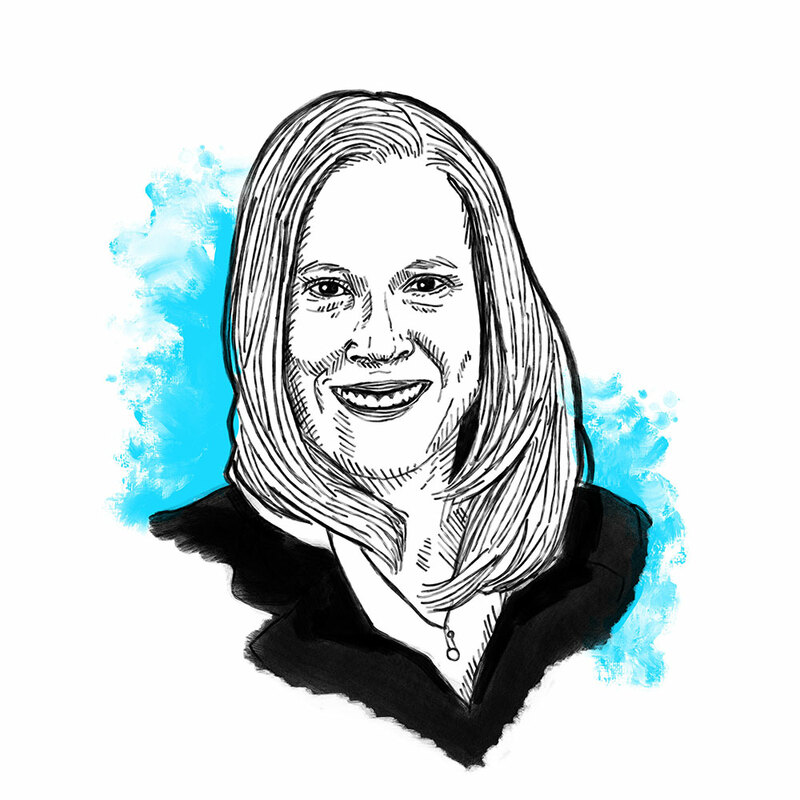 In the 1980s, Burnsville resident Kathy Kacher—a young, working mother—experienced firsthand the challenges of caring for a family while working full time. So, in 1987, when Kathy was let go from a corporate job, she decided to launch her own company, and Career/Life Alliance was born. Although it was a new concept at the time, Twin Cities corporations quickly embraced Kathy’s vision. In 1994, when her son was diagnosed with cancer, she expanded the focus of her business to include workplace flexibility because she saw just how much families dealing with cancer needed—not just resources and referrals, but flexible schedules so they could manage all the medical appointments and caregiving responsibilities. In the three decades since, 56-year-old Kathy has seen the business grow into a nationally recognized consulting company laser-focused on helping employers design workplaces that give people of all ages flexible hours, the ability to work remotely, and more opportunities to collaborate. 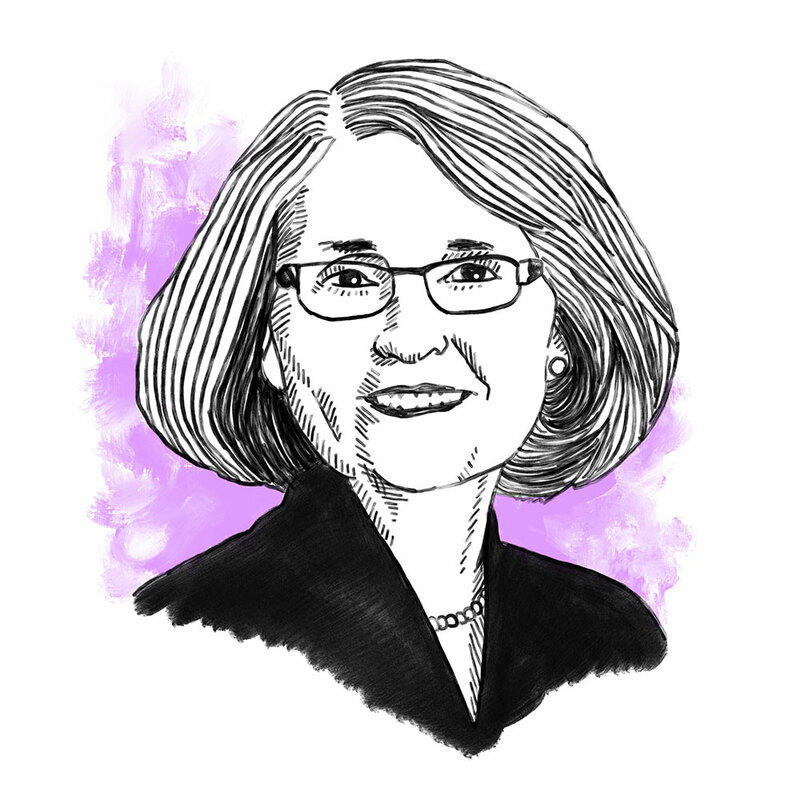 Along the way, she helped expand the caregiving conversation to include both children and elders, and shattered outdated beliefs about aging by showing how adept people over 50 can be at embracing technology and fostering innovation. All commercial bankers need to love numbers, understand business, solve problems, and seize opportunities. Add in honesty, transparency, and community commitment and you get Leroy Benson, Old National Bank’s market president of Commercial Banking. 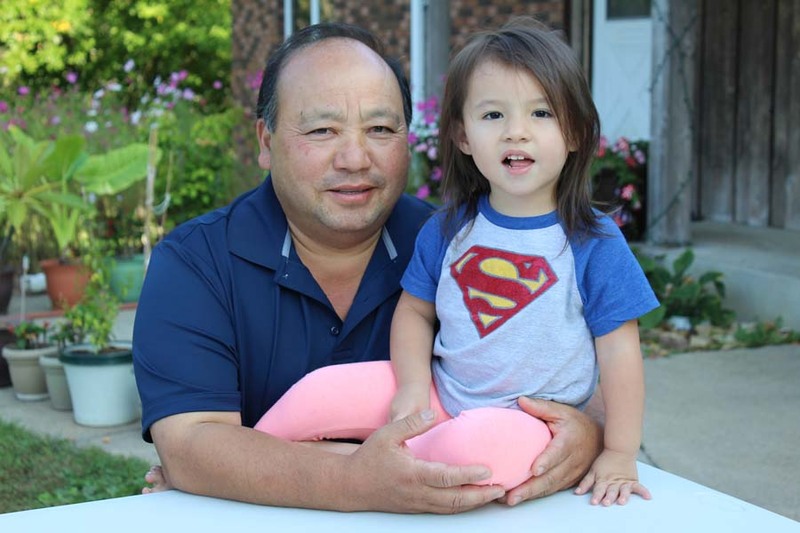 A lifelong banker committed to our local economy, 56-year-old Leroy of St. Louis Park knows what it takes to help local businesses and communities thrive. 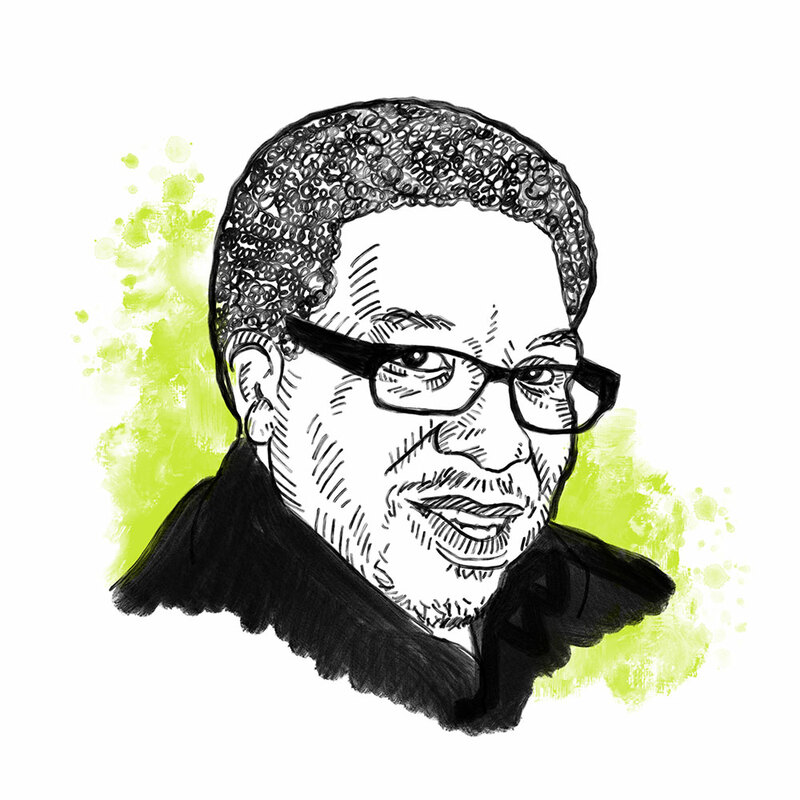 He helped secure a loan for a grocery in North Minneapolis—a neighborhood designated a “food desert” by the USDA. Leroy also advocated financing for a community school that serves predominately low-to-moderate income families. In addition to leading in the community, Leroy also leads at the bank, managing a group of commercial and private bankers, as well as the bank’s treasury department and support staff. Never one to sit idle, he immerses himself in activities that challenge and excite him, including traveling the world with only a backpack. “How can I help you today?” According to colleagues, that’s a question 51-year-old Mark Grunewald of Minneapolis asks often. Then, no matter the answer, he follows through, which is why he’s one of a just a handful of local mortgage bankers to have earned the Twin Cities Business/Mpls. St. Paul Magazine Super Mortgage Professional award every year since the award’s inception. But lending isn’t the only area where Mark excels. The former Metropolitan State University professor was voted by students as Outstanding Teacher in 2014, an impressive accomplishment when you consider he was an adjunct faculty member teaching just one evening class a week—and that was a statistics class! Mark was also honored with a 2017 WCCO Good Neighbor Award for providing the funds to establish a coat drive at a local high school. The award was particularly meaningful to Mark, who, as a loyal fan of “Mister Rogers,” started Won’t You be My Neighbor? Day in the Twin Cities. What would you do with $3,000, a card table, a fax machine, and an unfinished basement? 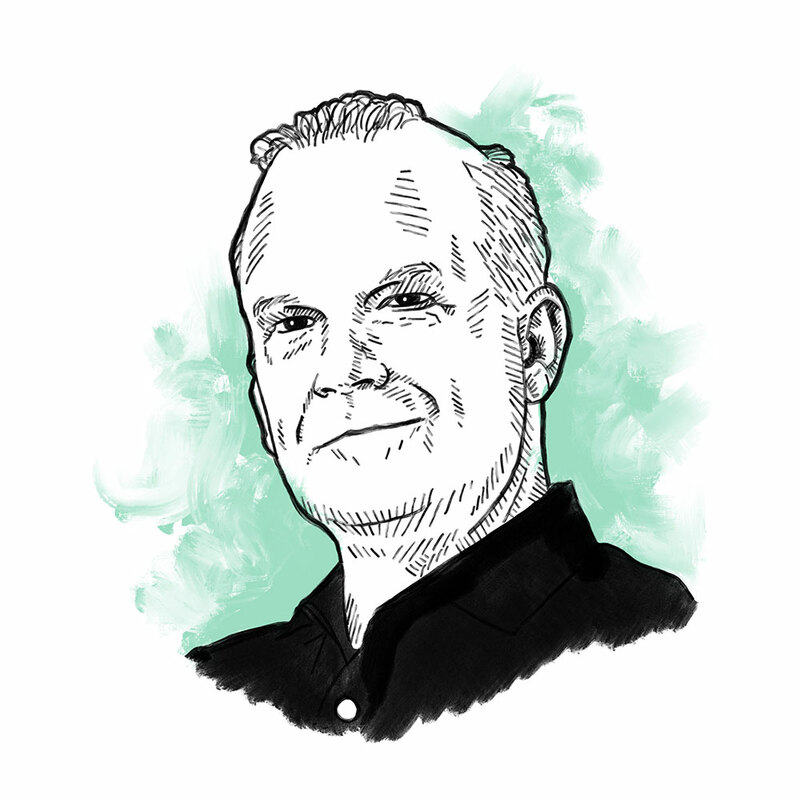 From those humble beginnings, Mark Morse of Lakeville started Morsekode—now an award-winning Minneapolis ad agency with 35 employees, a 30 percent growth rate over the past year, and an impressive list of clients, including 3M, Ameriprise, Boston Scientific, Capella, Ecolab, Medtronic, Salvation Army, and Securian. Not content to just savor his success, this lifelong musician is expanding his business to include building brands for musicians and athletes, whom Mark believes have the unique potential to connect with people on an emotional level. He calls this Brand Groove, and it drives everything Morsekode does. And while you might think the 50-year-old is all work and no play, he actually strikes a healthy balance between work, family, and giving back to our community. In addition to guest speaking at graduate-level and executive MBA programs, Mark serves on the boards of the Positive Coaching Alliance and Urban Ventures, and coaches youth baseball, basketball, and football. Nora Andersen Sillerud of Edina has a definition of wealth that extends beyond money—it also includes health, purpose, and community. A career-long financial planner, Nora proves to her clients that age is not a limiting factor when it comes to living a full life. She also proves that paying undivided attention to each client’s unique needs and goals can lead to some pretty amazing accomplishments. Nora helped a single mom come up with the resources to pay for her son’s college education—without compromising Mom’s ability to retire. When Nora shared this news, the woman burst into tears of relief and gratitude. Nora also helped one family take its foundation to the next level, increasing its ability to make a difference in the lives of others. 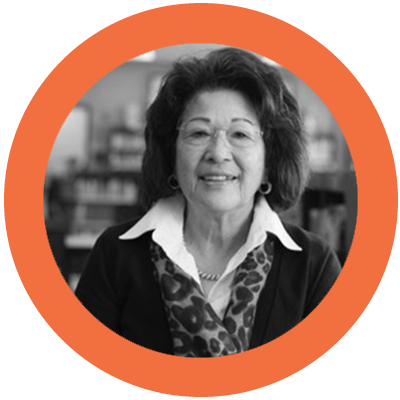 And making a difference is another big part of Nora’s life—she’s a regular volunteer and donor to local nonprofits. One person’s retirement is another person’s next chapter. As proof, you need look no further than 82-year-old Peter Heegaard of Minneapolis. He is as active today as he was throughout his career, which began at Northwestern National Bank in 1960 and ended 22 years ago when he retired from Wells Fargo. Since then, he’s founded Urban Adventure, a program that encourages young business professionals to become true community leaders by tackling challenging urban issues. He’s also chaired the Philips Eye Institute Foundation board, where he led an initiative to test the eyes of young students, and he’s served on the boards of The Minneapolis Foundation, the Minnesota Council of Foundations, the Charles K. Blandin Foundation, and numerous other organizations. Peter is the author of three books, including Turnabout, which showcases 14 individuals who have moved from dependency to self-sufficiency thanks to the help of local nonprofits. 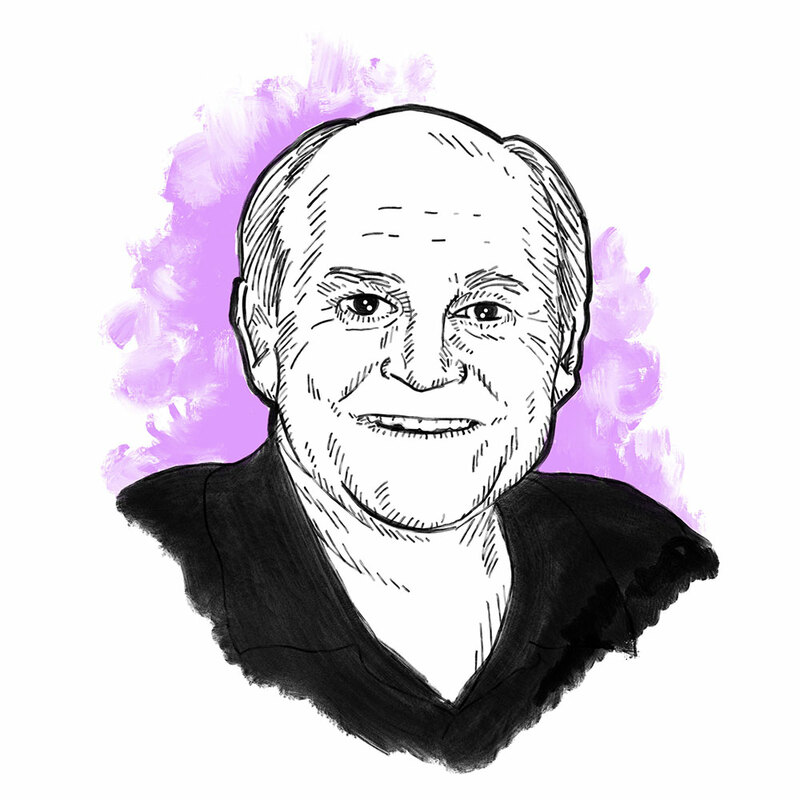 In 2010, at age 75, Peter was awarded Augsburg College’s Doctor of Humane Letters degree. Most of us can draw lines, carry a tune, or move in rhythm, but some of us use those simple skills to reveal truths about—or create change in—the world around us. The 10 amazing people in this category work with different mediums: music, dance, design, poetry, acting, writing, directing—or using their platforms to support other artists. What do they have in common? They all know the value of art in asking important questions and arriving at unexpected conclusions. And they all know that a fiery passion to create or to support creators burns just as brightly in your second half-century as in your first. Arts patron Anita Sue Kolman, 70, is on a quest—one she started at age 53 without any formal arts training—to expand the reach of Minnesota artists by bringing their art into the homes, offices, and hearts of art lovers the world over. The St. Louis Park resident is co-owner of Kolman & Pryor Gallery in Northeast Minneapolis, which not only holds exhibitions of the artists it represents, but also strives to reach audiences beyond its gallery walls by collaborating with other local businesses and organizations. One way Anita does this is by extending the visibility of her Northrop King Building Gallery to sites such as the Hewing Hotel, the Mill City Clinic, and Chirigos Designs in Wayzata. Another is by hosting free, open forums to advance artists’ professional development and promote the value of art and collecting. Anita is particularly proud of her gallery’s commitment to show artwork created by Minnesota artists in highly regarded national and international venues, including Armory Week Shows in New York City and Art Basel Week Shows in Miami Beach. After a successful 40-year career in the performing arts, one might consider it time to “exit stage left.” Curt Wollan says, “Think again.” At age 66, the St. Anthony producer and director of hit original musical comedies is still running Troupe America, the regional theater he founded in 1979, where the metric of success isn’t age—but his age-defying passion. Along the way, Curt ran the Plymouth Playhouse for 30 years, producing a number of homegrown hits about life in the Land of 10,000 Lakes, including the “Church Basement Ladies” musicals and “How to Talk Minnesotan: The Musical.” More than 300 national tours of Troupe America’s productions of have played in all 50 states and every Canadian province, showcasing Minnesota talent and providing steady paychecks to the hundreds of local actors, composers, musicians, and theater support staff who live in what is often referred to as “flyover country.” Key to Curt’s success: figuring out what makes each project work financially, not just for Troupe America, but for everyone involved—a formula that has earned him many standing ovations. In 1993, Joe Chvala founded Flying Foot Forum, a cutting-edge dance company known for high-energy, percussive-style storytelling. Twenty-five years later, the 62-year-old Minneapolis resident is still flying high—writing, choreographing, composing, teaching, directing, and performing original productions ranging from Norse folktales to stories of war-torn Bosnia, from utter silliness to humanity’s darkest moments. Some are short repertory pieces, others are full-length performances, but all earn standing ovations and rave reviews—in part because they are accessible and engaging while challenging us to consider our world in a new light. This ability, seen throughout Joe’s range of works, has earned him such titles as “Fred Astaire on acid” and “the Agnes DeMille of tap.” Joe has received prestigious awards from the National Endowment for the Arts and the National Dance Project, as well as fellowships and grants from Intermedia Arts Minnesota and the Minnesota Dance Alliance, as well as the Bush, Jerome, and McKnight foundations. How does 89-year-old Joyce Kennedy, Richfield, challenge outdated beliefs about aging? By showing—through both word and action—just how outdated those beliefs are. To Joyce, aging isn’t something to be feared, but a creative, active, and fully present way of being open to the wonders of our world. Joyce records many of those wonders—including some from a trip to Papua New Guinea earlier this year—in a personal journal she has kept for more than 40 years. She chronicles others in her poetry, much of which captures specific moments of reflection and revelation. 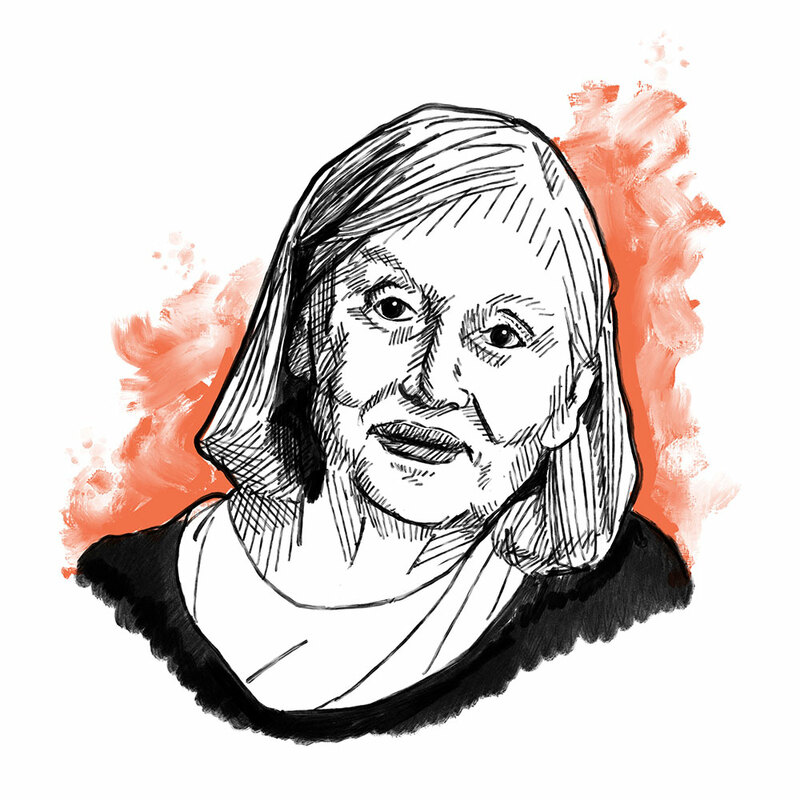 A founding member of the Laurel Poetry Collective and a contributor to numerous publications and readings, Joyce’s love of Shakespeare led her to write a book-length set of poems about the playwright’s women characters. One of the most consistent aspects of her long life has been her love of and support for the arts in all of its forms. 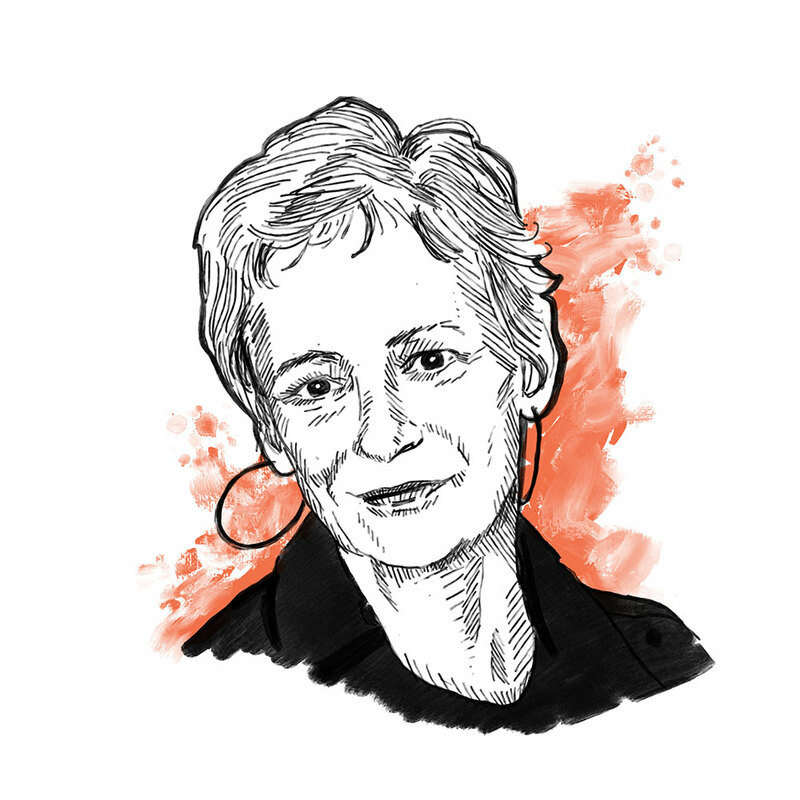 Now, she is writing an “old age” memoir that explores the various stages of life and how important it is that people of all ages recognize—and celebrate—their unique gifts. “A world of equitable communities made strong through literature and the arts.” That’s the vision 55-year-old Saint Paul resident Kimberly Nightingale is working toward as founder and executive director of Saint Paul Almanac, a literary arts organization that uses storytelling across cultures, generations, and walks of life to promote understanding, develop relationships, and foster collaboration. Kimberly encourages all Minnesota writers to come together to create, learn, collaborate, and perform—then she finds creative ways to showcase their work: printed on Metro Transit posters and via Storymobile, a moveable engagement space that encourages people to tell, display, and preserve the stories that matter to them. Saint Paul Almanac also produces an annual book that relies on “community editors,” including many students and people of color. “We have to keep making our own mirrors,” says 66-year-old Marcie Rendon, and that’s exactly what she has been doing her entire creative career. 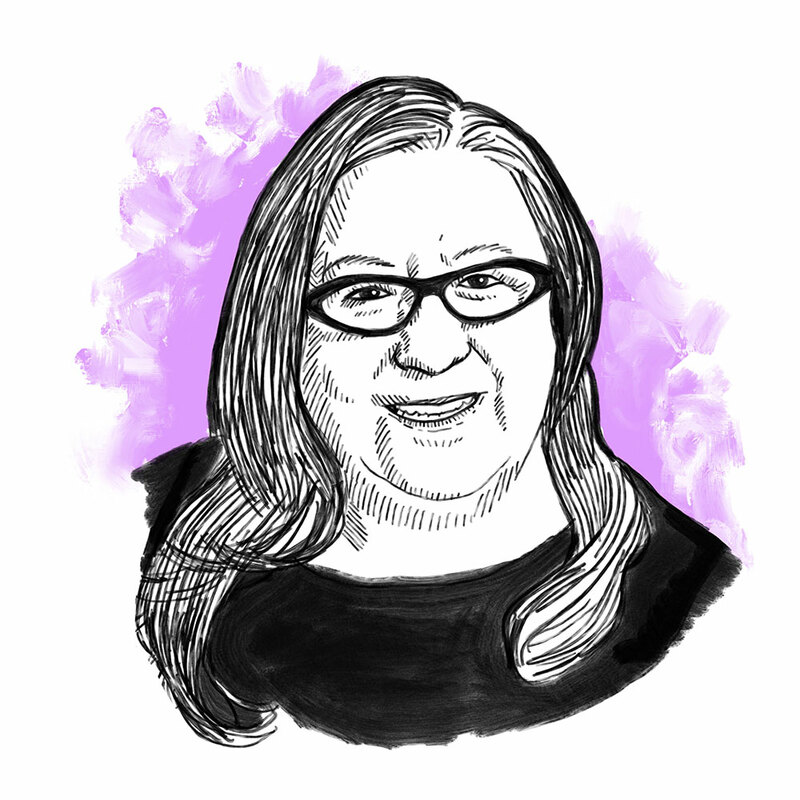 A Minneapolis resident and an Anishinaabe citizen of the White Earth Nation, Marcie writes so Native Americans see themselves mirrored back to themselves. She is the author of a debut novel, four non-fiction books for kids, and hundreds of poems, plays, and stories, all of which feature important messages, including that elders are amazingly creative and productive. A community organizer and leader in creating non-competitive shared spaces, Marcie is currently brainstorming with a group of fellow artists of color to create a communal live/work space in rural Minnesota. She’s also a leader in the co-counseling movement, a grassroots method for leadership and personal change. She’s the creative mind behind Raving Native Theater, which stages community-created productions and scripts by Native playwrights. Marcie is a recipient of the Loft’s 2017 Spoken Word Immersion Fellowship for her work with incarcerated women. Her play, “friends…” won the Native American Radio play award in 2013 and was performed earlier this year in Ojibwe. St. Paul’s Sally Wingert, 60, is one of a handful of local actors whose name alone can get people to the theater. This bonafide Minnesota treasure has performed in more than 90 plays at the Guthrie Theater alone. It was there, at a student-matinee decades ago, that Sally first imagined herself on stage. Since then, she’s worked with four of the theater’s artistic directors and hundreds of company actors. But the Guthrie isn’t the only place where Sally shines. She also performs in both solo and ensemble productions at Dark & Stormy, Mixed Blood, Park Square, Ten Thousand Things, and Theater Latte Da, among others, as well as in theaters in Boston, Chicago, New York City, London, and more. 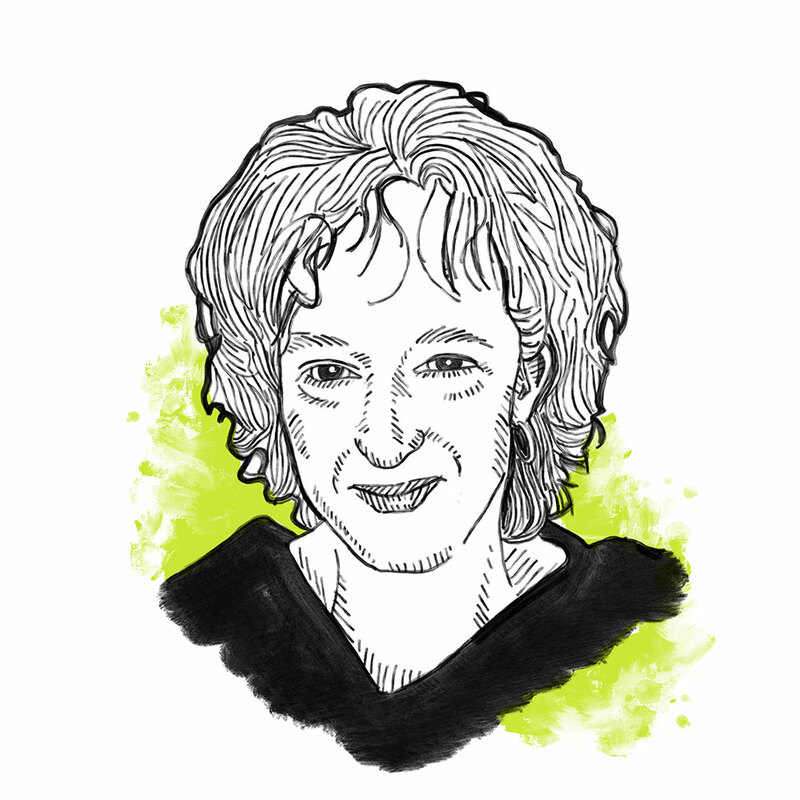 Always one to challenge herself, Sally made her directorial debut at age 58 at the Minnesota Jewish Theater Company and—no surprise—received outstanding reviews. She’s also applauded for her community service: She serves on the board of directors of various non-profit organizations and mentors the next generation of theater artists. Minneapolitan Sue Crolick, now 76, began her career in advertising’s “Mad Men” era—and yes, she knows all about three-martini lunches and being assigned the campaigns no one else wants. 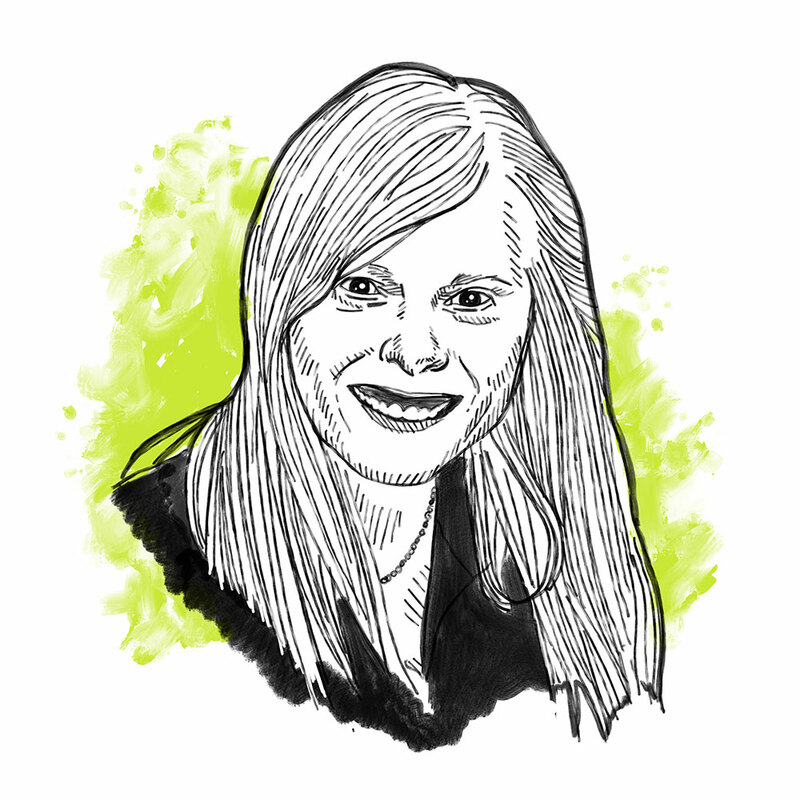 She once turned one of those campaigns, for dental tools, into a “Best of Show” award, and quickly broke the glass ceiling by becoming the first female art director at two of the Twin Cities’ largest ad agencies. She went on to found her own award-winning design firm. Then, 25 years ago, when schools were cutting arts funding, Sue had an inspiration. Why not match disadvantaged students with the copywriters, graphic designers, art directors, illustrators, and photographers she worked with every day? These professionals could show kids that creativity can be a path to an exciting career. Fast forward to 2018, and Sue’s brainchild—Art Buddies—is a thriving nonprofit that has paired thousands of underprivileged kids, one-on-one, with their own creative mentor, earning Sue top honors from two advertising and design industry associations and a prestigious Purpose Prize Fellow award for nurturing kids’ creative spirits. At 57, T. Mychael Rambo of St. Paul is burning the candle at three ends—thank goodness he knows how to make candles! This shining light is an educator, singer, and Emmy-winning actor who spends mornings teaching, afternoons rehearsing, and evenings performing. 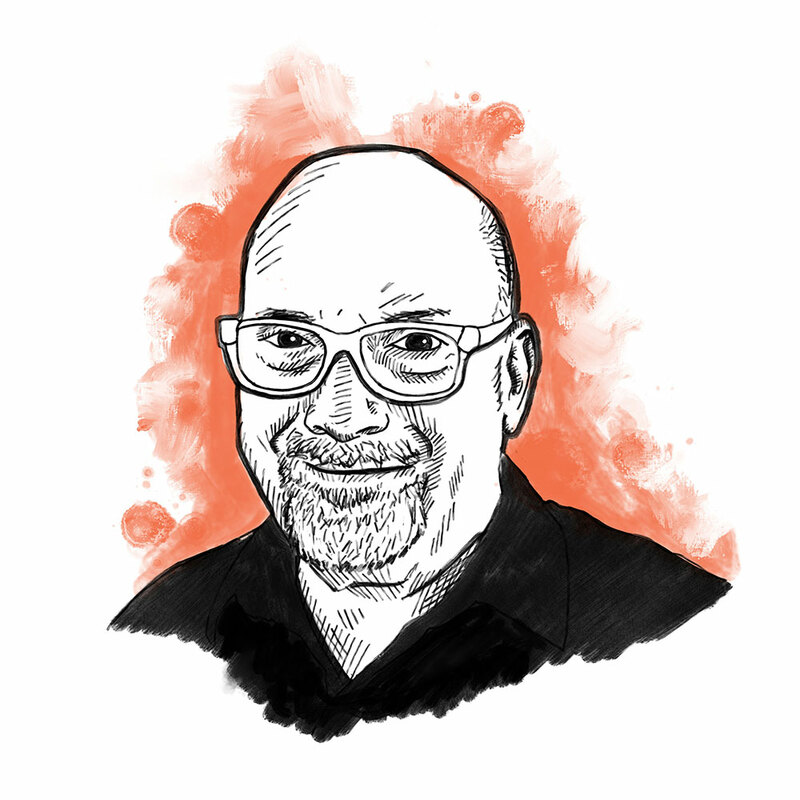 One of the Twin Cities’ most well-known stage artists, T. Mychael has performed dozens of times at the Guthrie, Ordway, and Penumbra theatres (to name a few), as well as on radio, television and film. He’s clearly a natural, but he actually came to acting later in life—after a successful career in financial services, and after a long battle with addiction that led to him spending time in a St. Paul homeless shelter. One day, after being overheard singing, he was invited to audition for Minnesota Opera’s production of ​Showboat, and he hasn’t stopped performing since. However, T. Mychael’s favorite moments aren’t those he spends on stage or even singing the national anthem for presidents Obama and Carter. Instead, they are the moments he spends teaching tomorrow’s minds today—and those very special moments he spends helping family and friends celebrate their birthdays with the heartfelt songs he writes and performs just for them. Spaces where we can eat, sleep, argue and learn together are vital to the maintenance of our humanity. They provide opportunities for shared care and continuous discovery, and help us build a togetherness we all know as “community.” These 10 powerful individuals are true community builders. They believe equity, togetherness, good health, and inclusiveness are the building blocks of a strong community, and they’re showing just how much people over 50 can do to move those blocks into the right places. Years ago, when now 69-year-old Christine Miller was a sixth-grade teacher, a young boy asked if she’d be willing to teach him to read after school so that he could pass the written gun safety test and go hunting with his father and grandfather. As a reading specialist, Christine realized that not being able to read hinders more than just school performance—it also can mean being isolated from the people and activities you love. This memory, combined with 35 years of teaching children, led Christine to bring Reach Out and Read to her community in Cambridge. Via the program, children age five and under are given an age-appropriate book when they visit their doctor, who also writes the child’s parents a “prescription” to read to their child every day. Thanks to Christine’s efforts, Reach Out and Read has given away more than 65,000 books. Since retiring as assistant superintendent of the Cambridge-Isanti School District, Christine volunteers with numerous organizations, including the Cambridge Medical Center Foundation, Anoka Ramsey Community College Foundation, and Hope in Action Minnesota, an all-volunteer mental health awareness and suicide prevention program. 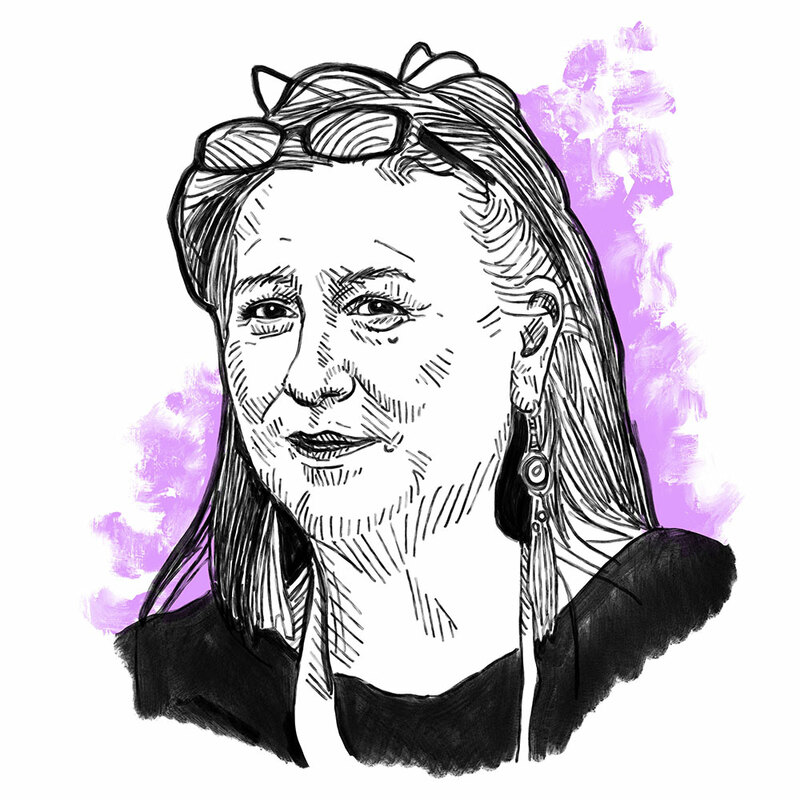 Diane Wilson, 61, is executive director of Dream of Wild Health, a nonprofit seed-saving farm and educational institute focused on restoring health in the Native community by reconnecting with indigenous foods, medicines, and lifeways. 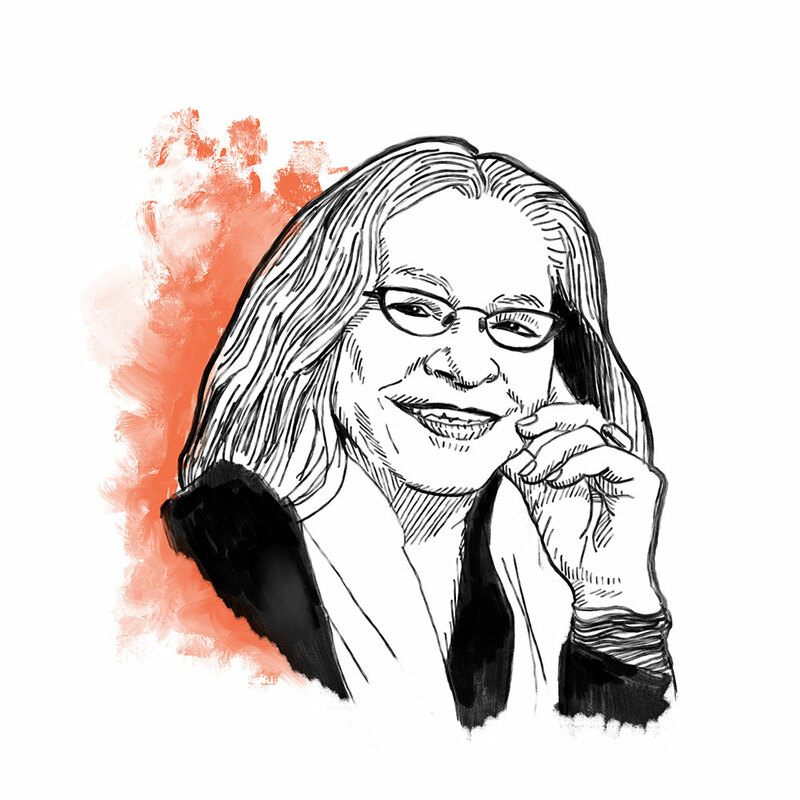 Her work is rooted in the Dakota belief, Mitakuye Oyasin—We Are All Related—with a commitment to preserving rare, tribal seeds and restoring an indigenous relationship with the land that was disrupted by assimilation policies. Diane continues this educational work as a writer, exploring cultural identity and the challenges in transforming historical trauma to create a better way of life for our children. 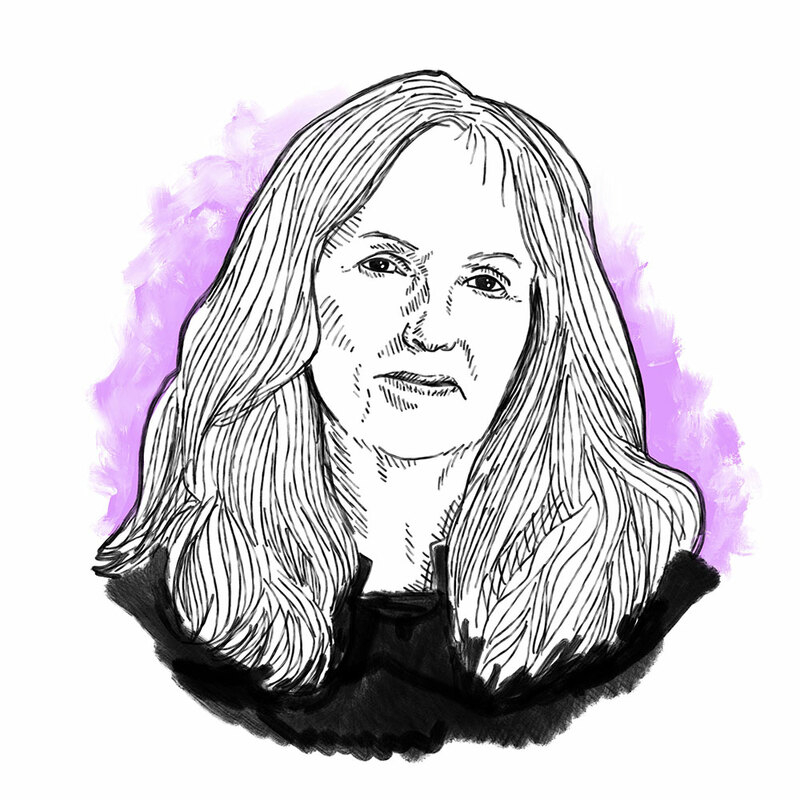 Diane is author of a memoir, Spirit Car: Journey to a Dakota Past, which won a 2006 Minnesota Book Award and was selected for the 2012 One Minneapolis One Read program. Her second book, Beloved Child: A Dakota Way of Life, earned History Colorado’s 2012 Barbara Sudler Award. This former Bush Foundation fellow lives in Shafer, where she stewards a 10-acre tamarack bog, and works on an essay collection that expresses the importance of Dakota culture and history. 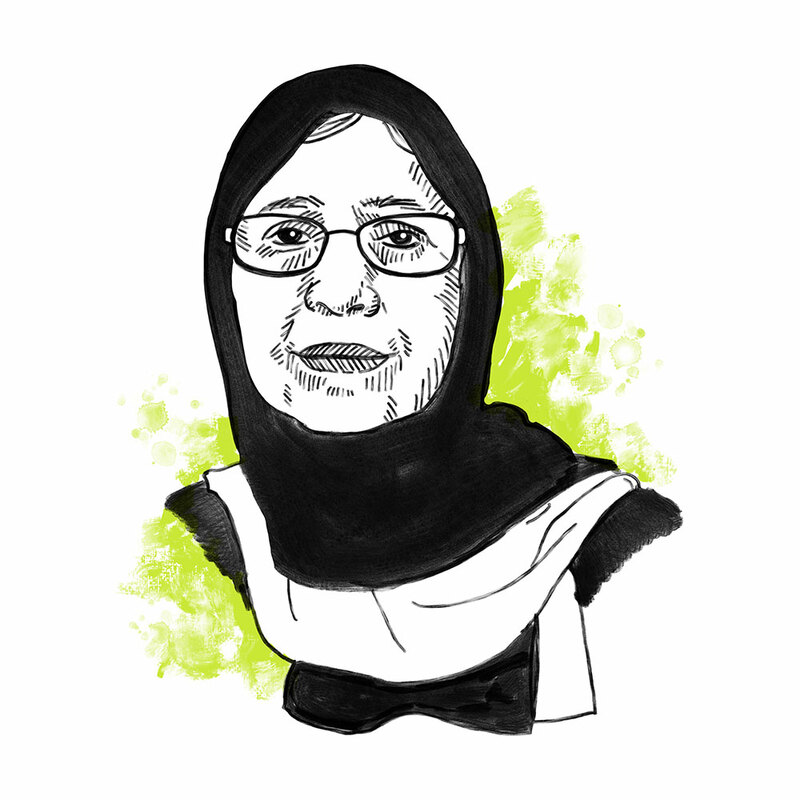 Sixty-two-year-old Johara Mohammed of Brooklyn Park is the area’s only Muslim marriage and family therapist delivering multilingual, trauma-informed care to survivors of sexual assault and domestic violence—two topics that are considered taboo in the Muslim community. She sees patients every day, sharing their pain and offering strategies to help them open up about and cope with their experiences. A radical healer unafraid of pushing back against deep-seated gendered ideas, Johara has become a respected source of community support, constantly validating sexual assault survivors’ experiences by reminding them that they are community “sheroes.” Johara has learned so much, but that learning continues—she chose to go back to school to learn more about how to help her community. She truly embodies the Islamic tradition of giving oneself fully to the community without expecting a bountiful return. Along the way, her kind smile lights the way for many. What happens when 68-year-old Linda Finney of St. Paul gathers a group of retired African-American women and men (several of whom took part in lunch-counter protests in the South) in the only majority African-American Episcopal church in the Twin Cities? Conversations happen: deep, meaningful, heartwarming conversations that foster understanding and spur racial reconciliation. 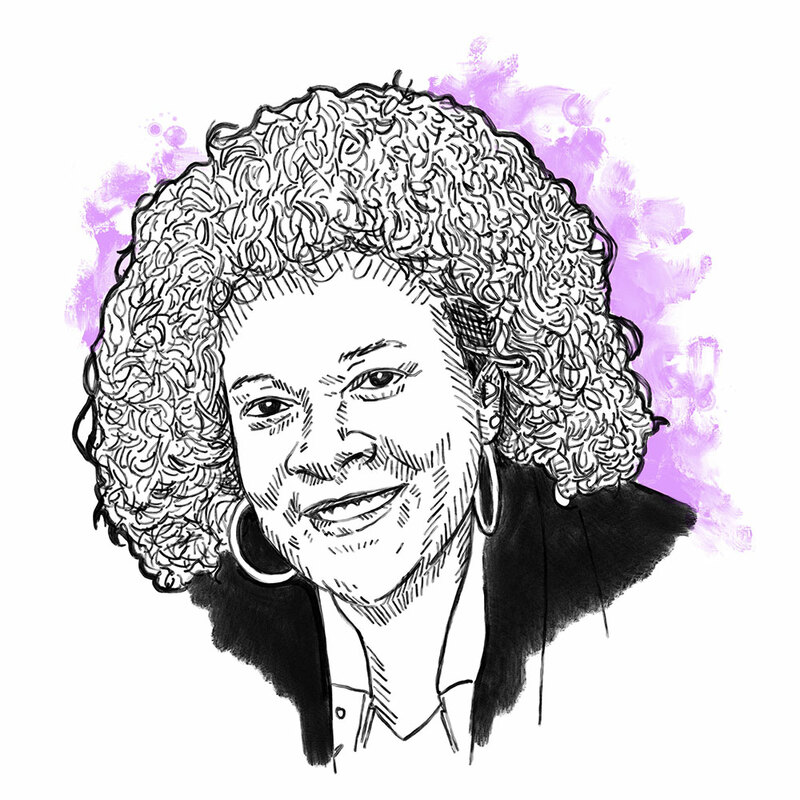 With over 30 years in law enforcement and criminal justice, often blazing trails as the first woman and/or African-American in her roles, Linda knows the power of bringing these and other important conversations into the open. Along with others from the Holy Trinity Episcopal Church in St. Paul, she launched a discussion series that addresses important, but often uncomfortable, topics: Jim Crow Then and Now, The Impact and Damage of Microaggressions, and Historical Trauma—The Hurt That Never Leaves Us. Thanks to Linda’s leadership, the church secured support for the program from it’s diocese, as well as Luther Seminary, Hamline University, Concordia University, Laura Jeffries Academy, Hamline United Methodist Church, St. Matthew’s Episcopal, and the Park Bugle newspaper. Their shared goal: to work together to make the world a better place for all people—today, tomorrow and for generations to come. Fifty-six-year-old Mary Leadem Ticiu is principal of St. Croix Valley Area Learning Center, an alternative school that helps at-risk students succeed. Thanks to Mary’s willingness to embrace new ideas rather than cling to formal and outdated educational constructs, she’s created an emotionally and physically safe, bully-free environment in which all are treated with dignity and respect. The Stillwater resident also developed a school that uses indigenous cultural practices to make complex decisions and topics accessible. For example, students working together to build a canoe learn math, geometry, design, teamwork, complex problem-solving, and other important life skills in the process. Mary’s unique approach to graduation showcases her ability to validate each student’s accomplishments: one student may graduate at 10 a.m. on a December morning, while another does at 7 p.m. on a May Tuesday. These “one-size-fits-only-me” celebrations focus on individual achievement and instill confidence in all students that they, too, can cross their educational finish line and chart their own paths forward where learning is the constant and time is the variable. Onamia’s Melanie Benjamin, 62, was elected chief executive of the Mille Lacs Band of Ojibwe in 2000 and has been re-elected every four years since. As leader of the sovereign, self-governing, federally recognized American Indian tribal government, Melanie regularly meets with other elected officials at the highest levels, advocating for the needs of her people: from education and public safety to environmental protection, women’s rights and elder issues. A typical day might find her advocating with members of Congress in the morning, speaking at a Head Start graduation in the afternoon, and chairing a corporate board meeting in the evening. Throughout, Melanie’s compassionate voice and eagerness to take to heart the stories of her people—especially her tribe’s elders—make her one of the Indian Nation’s most active, respected leaders. In addition to her tribal responsibilities, Melanie is cofounder of Women Empowering Women for Indian Nations and sits on numerous national and regional boards, including the Minnesota Board on Aging. She was honored earlier this year with the DFL’s prestigious Orville L. Freeman Award for her impact on rural economic development in Minnesota. After 18 years at the St. Paul Companies (now Travelers), where, along with OutFront Minnesota and other leaders, she broke new ground by launching the GLBTQ Workplace Alliance—which included over one hundred workplaces. 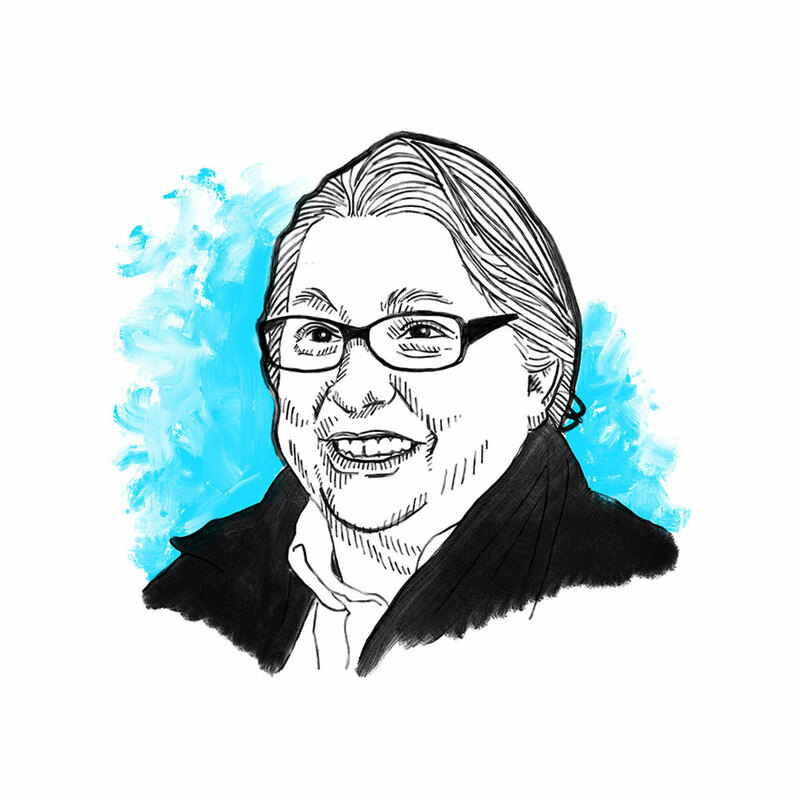 Monica Bryand also spent 16 years at the Headwaters Foundation for Justice that funded social, racial, economic, and environmental groups. At this stage in her life, You’d think Monica Bryand, age 57 of St. Paul, might be ready to let someone else do the heavy lifting. You’d be wrong. She’s moving as fast as ever to strengthen and support marginalized communities and dismantle the “isms” that prevent people from thriving. At Cycles for Change, where she manages special projects, she’s working with people of color, GLBTQ people, women, youth, and low-income communities to create community as bicyclists. And at the Urban Bird Collective, which she founded earlier this year, Monica supports Native American, People of Color and GLBTQ birders of all different skill levels in leading walks in their own neighborhoods. Sixty-nine-year-old Philip Johnson of Wayzata, is the national volunteer organizer for the U.S. Men’s Sheds Association, a nonprofit focused on reducing social isolation, loneliness, and loss of self-esteem in retired men. The idea: giving men opportunities to build community and connectedness by spending time together in … you guessed it … sheds. They work on building projects, sip coffee, or just chat. Philip first learned of the shed movement, popular in Europe and Australia, when searching for ways to support his father, whose wife died just months before he retired, transforming him from an outgoing professional to an introverted homebody. Phil, impressed by well-documented health and well-being improvements experienced by the shed-goers in other countries, built the first U.S. men’s shed in Hopkins in 2016; within the year, he helped start five more in Minnesota and Wisconsin. In the process, he volunteered more than 1,400 hours of his own time and secured sponsorships from AARP, the American Association of Suicidology, and Senior Community Services, among others. Ramona Kitto Stately, 55, works hard for students, and the results are striking. American Indian high school students in Osseo Area Schools graduate on time at nearly twice the rate of Minnesota students as a whole. In fact, in many of the 15 years Ramona has been the Osseo district’s American Indian program coordinator, 100% of the district’s American Indian students have graduated. 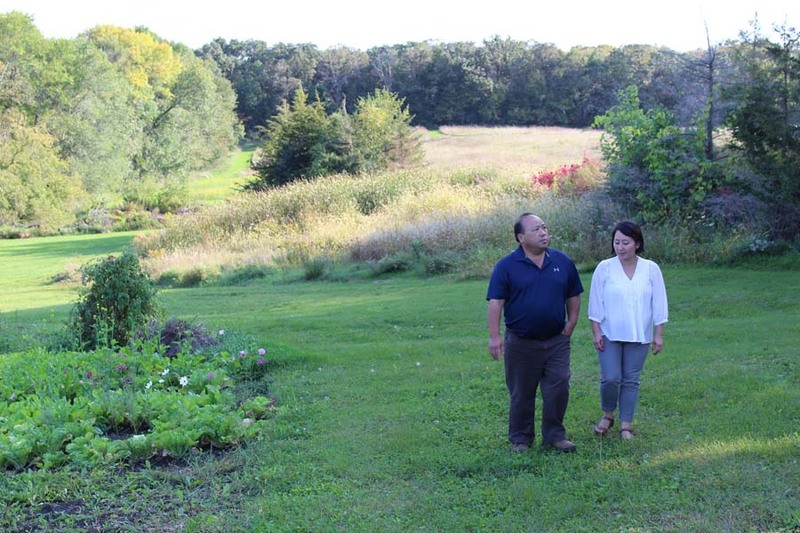 A Shakopee resident and member of the Santee Sioux tribe, Ramona also brings Minnesota’s indigenous history to life via colorful storytelling and guided tours of historically significant sites. Thanks in large part to her efforts, Fort Snelling is now Bdote Fort Snelling, in recognition of the site’s sacredness to Native Americans. Eager to also build bridges to African-American and other students of color, Ramona has served as a panelist on the “Courageous Conversations About Race” series and been featured in several PBS productions. After Michael Brown was killed by police in 2014, Rose McGee baked 30 pies. She then loaded them into her car and drove to Ferguson, Missouri, to offer what comfort she could. 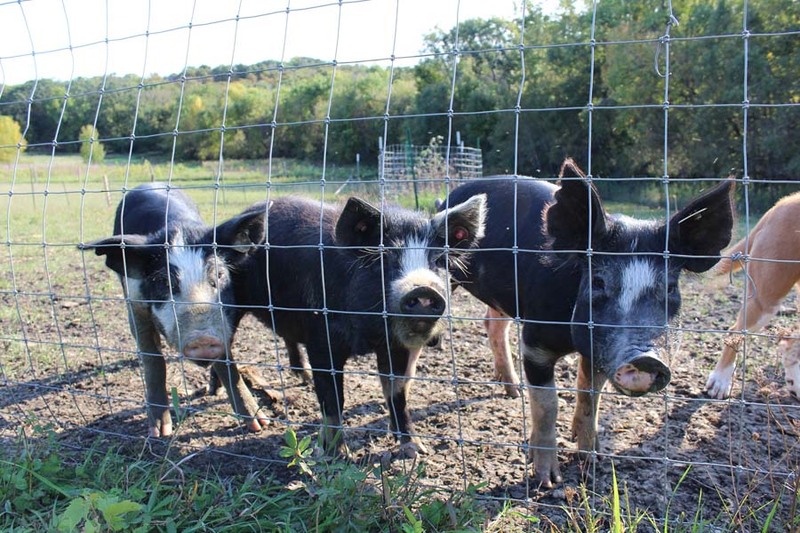 Upon returning to Golden Valley, she felt a calling to do something closer to home. That’s when she cooked up Sweet Potato Comfort Pie,™ a catalyst for caring and building community. In the five years since, her mouth-watering pies have offered comfort to many local families, protestors, police officers, and first responders. Rose’s pies are also the cornerstone of a Martin Luther King, Jr. holiday weekend tradition in which Rose and dozens of volunteers of all ages and ethnicities gather to mark Dr. King’s birthday by baking the same number of pies as his age had he lived. Community members then gather to discuss race and equity, and distribute the pies to those in need. This sweet approach to community-building has been featured in local and national media, and is the subject of a popular TEDx Talk titled The Power of Pie. 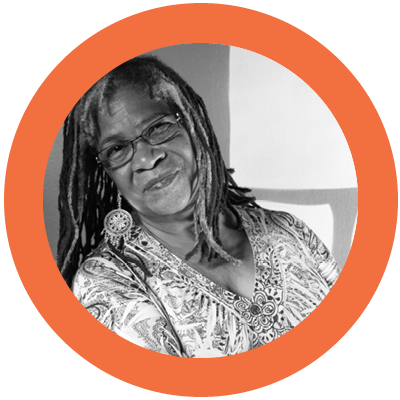 Rose, now 67, is also the author of Story Circle Stories and a forthcoming children’s book, Can’t Nobody Make a Sweet Potato Pie like Our Grandmamma. Northside Funders Group is a place-based, collaborative of corporate, family and community foundations and public sector partners who are aligning strategies and investments to achieve racial and economic equity in North Minneapolis. Our mission is to change the way philanthropy works. Collectively, NFG is advancing strategies to extend the prosperity of the Twin Cities to this part of our community by building social capital, thriving economies and thriving learning communities. 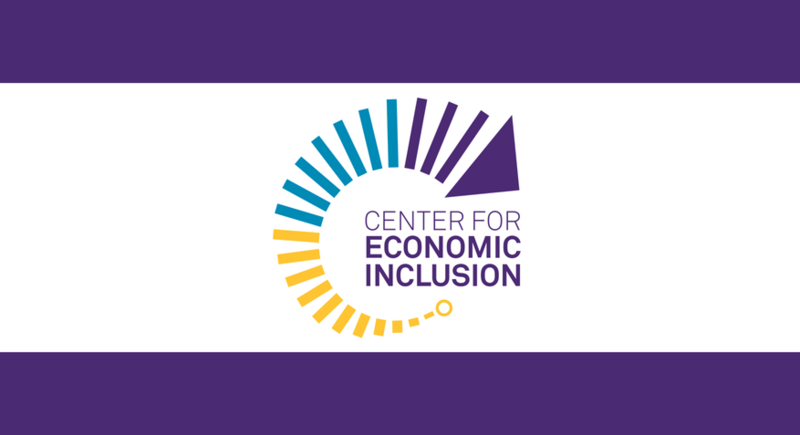 After five years of groundbreaking philanthropy, NFG became an integrated partner of the Center for Economic Inclusion in 2018, and as such the NFG Director will be an employee of Center for Economic Inclusion and will work alongside Center team members under the leadership of the NFG Co-Chairs, Sarah Hernandez and Jo-Anne Stately, with day-to-day direction from the Center’s leadership. Mid-Continent Oceanographic Institute is a non-profit organization that empowers underserved K-12 students to think creatively, write effectively, and succeed academically alongside a community of caring volunteers. Located in the Seward neighborhood of Minneapolis, Mid-Continent Oceanographic Institute (MOI) partners with educators and volunteers to support students from across the Twin Cities. Our approach is based on the proven model of 826 National, co-founded in 2002 by author Dave Eggers. With a focus on writing and creativity, students work with caring adults to develop the skills and confidence necessary to achieve their goals. The whimsical theme of a Midwestern ocean lab serves as a springboard for creativity and creates a fun, ”stigma-free”, safe space, as an alternative to home or school environments. Fundraising strategy and implementation experience to help the Board’s Development Committee establish effective funding sources and relationships. Strong community relationships and a willingness to be an ambassador to build public awareness and support for the organization. Financial expertise to support the organization develop systems and processes to support decision-making. Education and programming experience to support with evaluation and strengthening outcomes. Willingness and experience in serving in board leadership positions (officers and chairs). Interested candidates should email boardchair@moi-msp.org for more information. Don Ness is Executive Director of the Ordean Foundation. Established in 1933, the Ordean Foundation has a long, proud heritage of addressing issues of poverty in Duluth. Don has served of 16 years in elected leadership, culminating with a 91 percent job approval rating in his role as Mayor of Duluth. During this time, he was honored with the titles of both Twin Cities Business Person of the Year and the Labovitz School of Business and Economics Business Person of the Year. He is a graduate of the University of Minnesota-Duluth, majoring in business administration and economics, and he earned a Masters in Management from the College of St. Scholastica. Prior to his tenure as Mayor, he was the campaign manager for Congressman Jim Oberstar for nearly 10 years. Don’s core values include a deep dedication to his family, and an ongoing spirit of service to his community. He and his wife Laura continue to live in Duluth with their three children: Ella, James, and Owen. 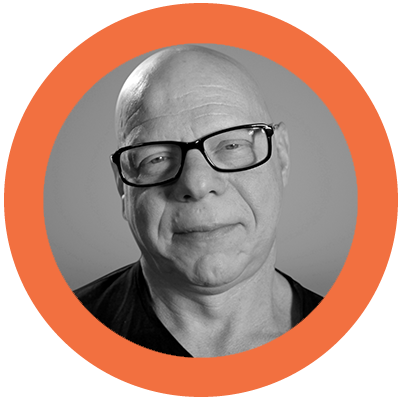 Marty Weintraub is a world-renowned marketer in an industry most commonly viewed as a Millennial’s game. After shifting careers from music to marketing in the 1990s, Marty embraced digital marketing nearly two decades before others recognized its importance. 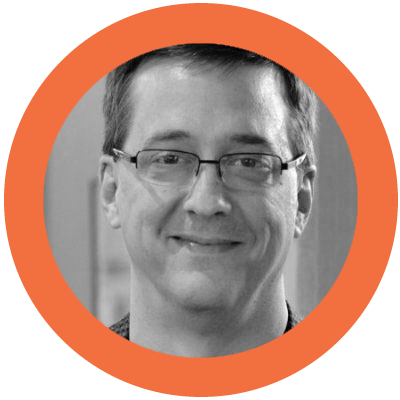 At age 45 Marty founded Aimclear, a St. Paul- and Duluth-based marketing agency that has grown from a one-person start-up to a global leader named to Inc. Magazine’s 500/5000 list of Fastest Growing Private Companies six years in a row. Marty and Aimclear foster opportunities for smart, driven young people to establish their own thought leadership and professional credentials, routinely hiring from local colleges and encouraging employees to stay and contribute to their local community. Carolyn Holbrook was a 2015 recipient of a Minnesota State Arts Board Artist Initiative grant and was named a 2015 Change Maker by the MN Women’s Press. Her personal essays have been published widely, most recently in A Good Time For The Truth: Race in Minnesota (MHS Press) and Blues Vision: African American Writing from Minnesota (MHS Press). She is also the author of Ordinary People, Extraordinary Journeys: How the St. Paul Companies Leadership Initiatives in Neighborhoods Program Changed Lives and Communities. 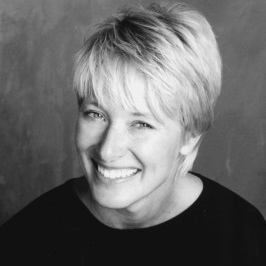 Carolyn founded SASE: The Write Place in 1993 and served as its executive/artistic director until 2006, when she spearheaded its merger with Intermedia Arts. 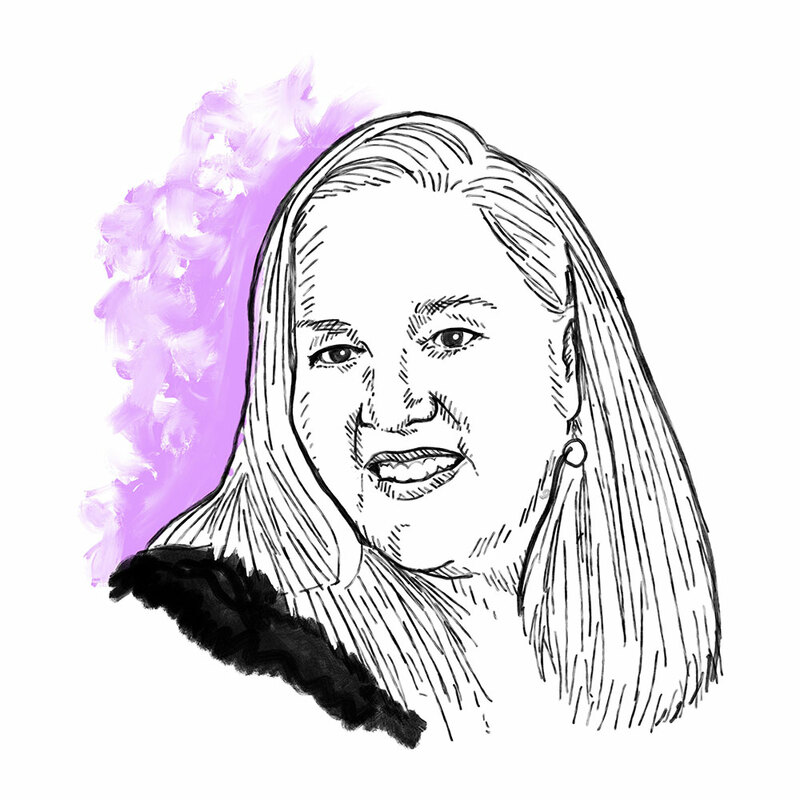 Carolyn teaches creative writing at Hamline University where she won the Exemplary Teacher award in 2013, and at Minneapolis Community & Technical College. She was a 2015-16 mentor for the Loft Mentor Series and the 2010 recipient of the MN Book Awards Kay Sexton Award. 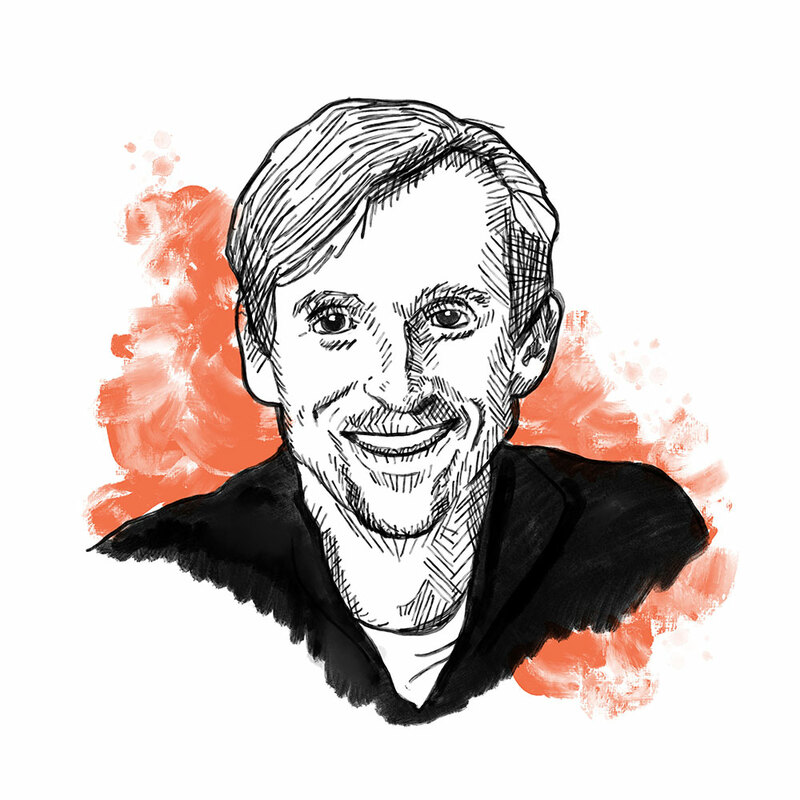 Eric easily pivots across stereotypical dichotomies: techie and humanist, big picture thinker and get-in-the-trenches doer, savvy business mind, and warm nonprofit heart. He is just as comfortable analyzing data as he is lending an ear to those in need. And as a 2016 50 Over 50 honoree in the Disruption category, he courageously takes on new roles and challenges, embracing opportunities to reinvent not only himself, but also our society—especially when it comes to keeping people independent. Driven by a desire to help his oldest son, a young man with an amazing array of talents and unlimited potential whose autism prevents him from getting a driver’s license, Eric is working to expand access and inclusion by bringing accessible, affordable, and reliable transportation freedom to people with disabilities. He is also engaged in finding ways for virtual reality to provide relief for older adults experiencing social isolation. 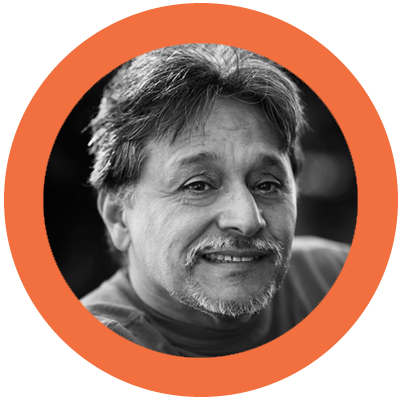 Jimmy Longoria is the only Chicano/Latino/Hispanic to be awarded an Archibald Bush Foundation Artist Fellowship in Fine Art, and he is the only Minnesotan to have art in the permanent collection of Chicago’s National Museum of Mexican Art, the largest collection of Mexican Art outside Mexico. Even though he is recognized internationally as a fine artist, he continues to practice giving back to the community by producing murals that deter gang graffiti in communities suffering gang presence. His commitment to giving back to our community led Target Corporation to label him as “Someone We’d Like You to Meet,” in a national campaign. The McKnight Foundation has honored him with a Virginia McKnight Binger Award in Human Service, and he received Ordway’s “Sally Award” for his artistic vision of giving back to the community through art. Jimmy is the only Latino artist to receive the Reverend Dr. Martin Luther King, Jr. “Living the Dream” Award from the City of Minneapolis. Kate is a psychologist, educator, and coach. 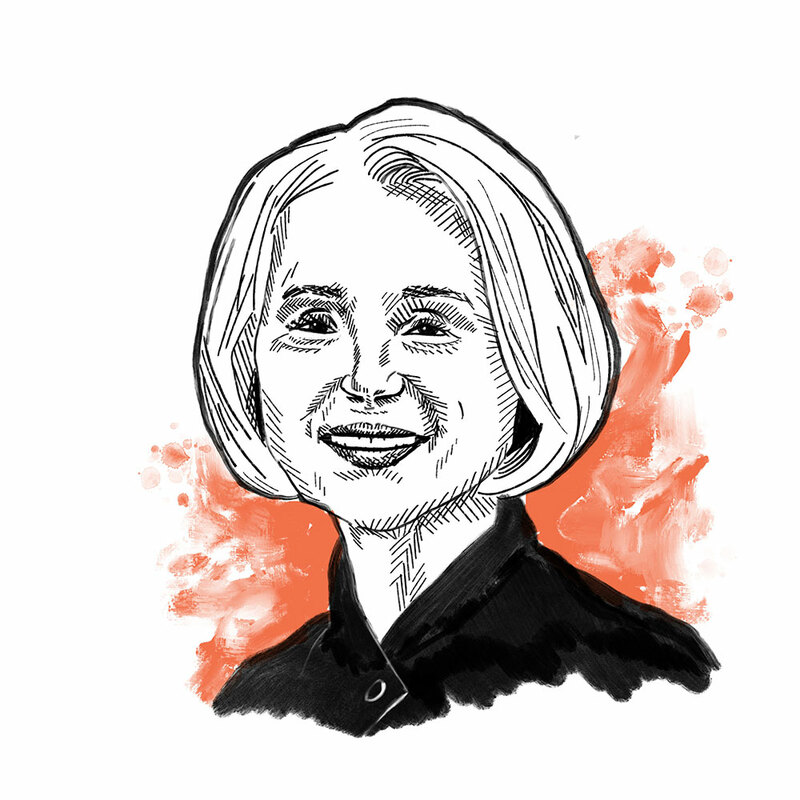 She is Executive Director of the University of Minnesota Advanced Careers (UMAC) initiative, bringing people back to campus as they transition into meaningful work in the second half of life. She is also a leadership coach at The Bailey Group and has taught graduate level classes at University of MN and University of St. Thomas. 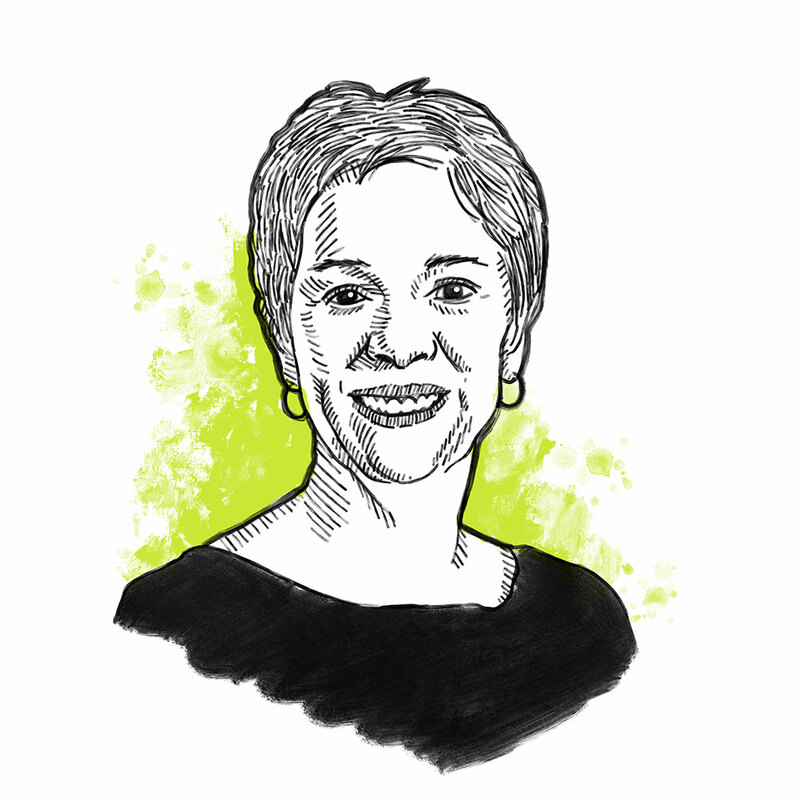 Kate is the Volunteer State President for AARP-MN, and a founding board member of SHIFT, a Twin Cities nonprofit facilitating career change after age 50 and helping people connect with greater life meaning and balance. She is also the founder of Encore Life Planning, a consulting and coaching firm providing services to individuals and organizations. Philomena is the Director of Diversity & Inclusion and Strategic External Relationships at Land O'Lakes. She currently co-chairs the Twin Cities D&I Roundtable and was recently named to the Minneapolis Workforce Council. She is past board chair for SHIFT, a nonprofit focused on people in midlife; Executive Leadership Council member of Honoring Women Worldwide; and past board member of Comunidades Latinas Unidas En Servicio (CLUES), Lifeworks, HIRED, and Resource Inc.
Philomena has been recognized by the Minneapolis-St. Paul Business Journal as a Woman Change Maker and Minority Advocate. She was also named as one of the Minnesota Business "Real Power 50" and received The Lifetrack Shining Star award for her efforts championing work life and wellness education at Wells Fargo. 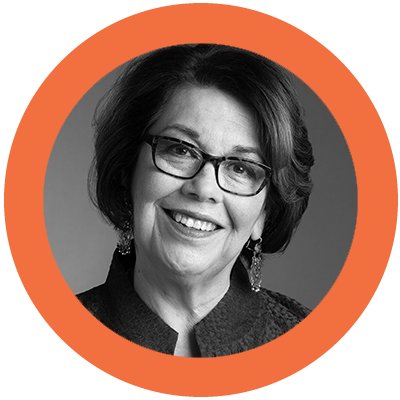 A champion of bringing people, charitable resources, and ideas together to spark positive community change, Sandra has served as President and CEO of The Minneapolis Foundation since 2007. She has recently retired from that position and has been appointed as a Senior Executive Leadership Fellow with the Hubert Humphrey School of Public Affairs at the University of Minnesota. In this position she will make the issues of racial, social and economic equity major themes in initiatives and projects. 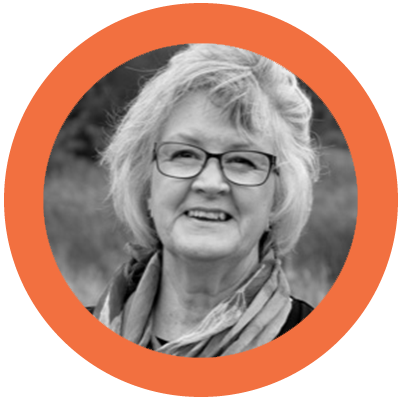 Sandy is active in several Twin Cities organizations and serves on the local boards of St. Catherine University, Minnesota Comeback, and Wallin Education Partnership. She also is an active member of the national boards of Independent Sector, 50CAN, and Hispanics in Philanthropy. 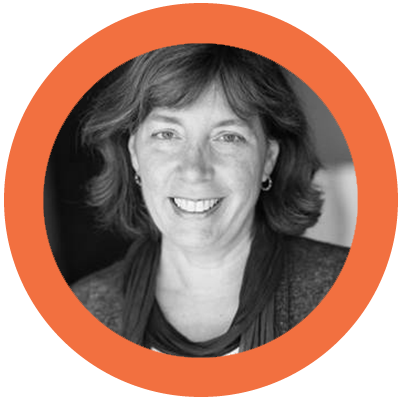 Terri is adjunct professor at the Humphrey School of Public Affairs, U of MN and a consultant to foundations and nonprofit organizations. She is co-author of Social Entrepreneurship: the Journey from Issue to Viable Venture and co-founder at Impact Hub Minneapolis-Saint Paul. Her career includes a decade as founder of the McNeely Center for Entrepreneurship at the College of Saint Benedict and Saint John’s University in Central Minnesota, 20 years as Vice President of Community Impact at United Way of Minneapolis Area, and five years as Program Officer and Co-Director of the national Dayton Hudson Foundation, a corporate foundation that is now Target Foundation. She earned a BA and MBA at the University of Minnesota. She is an avid volunteer, recently completing nine years on the Cargill (corporate) Foundation, has just joined the Board of Community Giving, which is dedicated to building and supporting community foundations across Central Minnesota, and continues her board role with Close Gaps by 5. As a former administrator at Bemidji State University (BSU) in Bemidji, MN, Lorena worked as Assistant to the President/Affirmative Action Officer for 18 years and also as Assistant Director of Financial Aid for one year. She has also worked as an Human Resources Administrator and taught business education at the secondary and post-secondary level in her professional career. Having retired from BSU in 2007, she currently serves on the board of trustees for the Red Lake Nation College in Red Lake, MN, is the current chair for the Regional Development Advisory Council of Minnesota Public Radio, and is a member of the Constitution Reform Initiative Committee for the Red Lake Band of Chippewa Indians in Red Lake, MN, where she is an enrolled tribal member. Bill's creative process remains grounded in traditional photographic methods and is energized by two questions: Why? and How? His electrical engineering education demands to know how, while his experience in living wants to know why. He is motivated by the music of John Coltrane, the writing of Langston Hughes and Richard Wright and the photography of Henri Cartier Bresson, Gary Winogrand and Roy DeCarava. Bill describes his style as social landscape; compositions of people, places and things that cross his path daily. His current work investigates the choices to be made at the intersection of cultures, classes, genders and generations. Patricio DeLara is a Mexican-born visual artist. Primarily trained in illustration and graphic design, he is always expanding his creative repertoire and searching for new ways to express and communicate ideas. 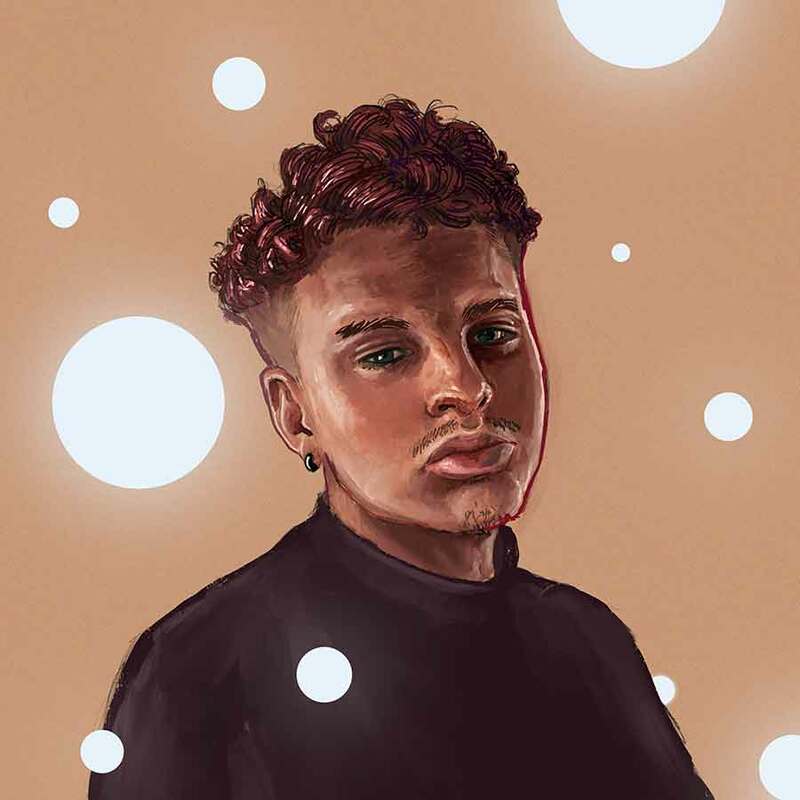 While he is inspired by a myriad of styles, he is fascinated about blurring the lines between contemporary fine art and graphic design, in both the traditional and digital realms.